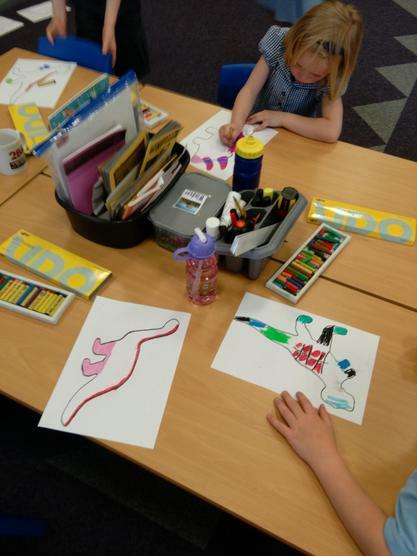 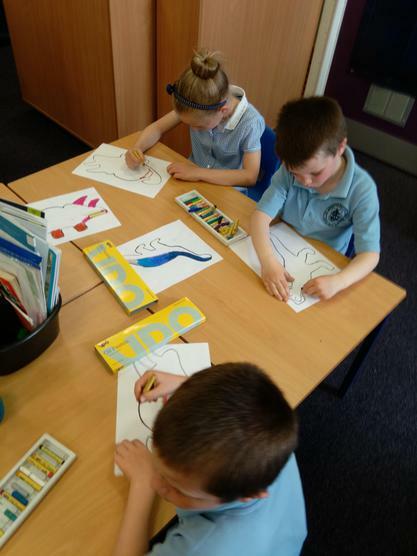 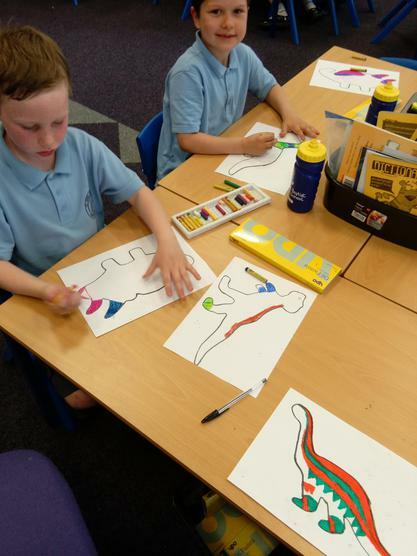 Using oil pastels to create tone and shade and making dinosaurs with playdough. 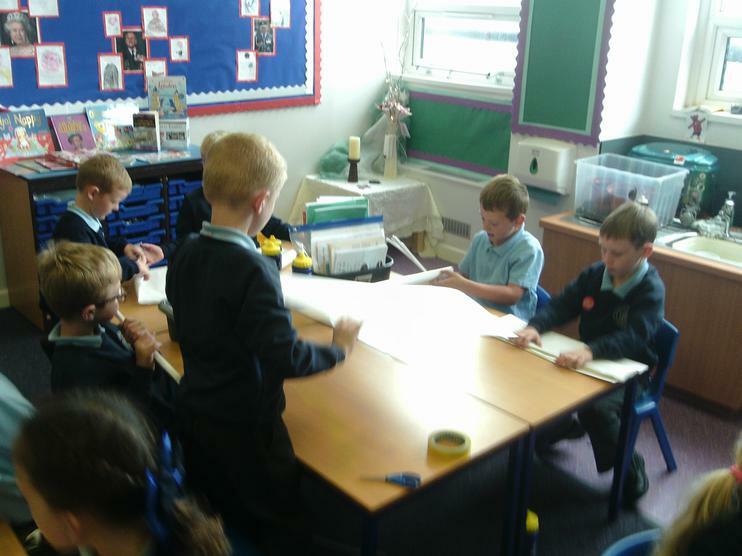 Images for our 2016 Calendars. 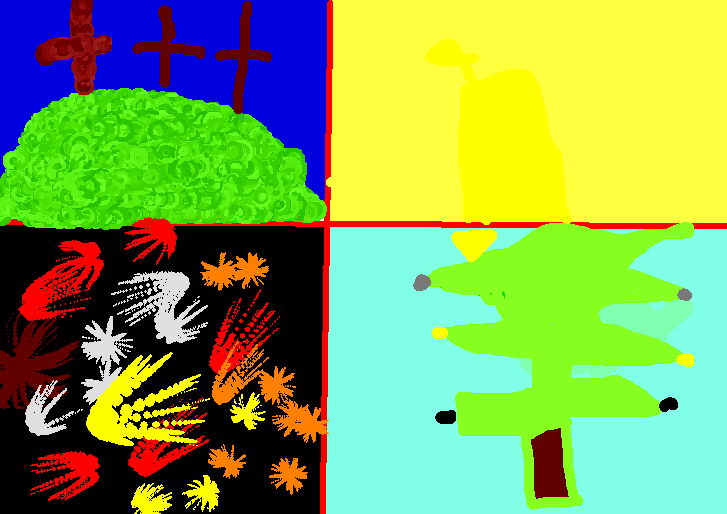 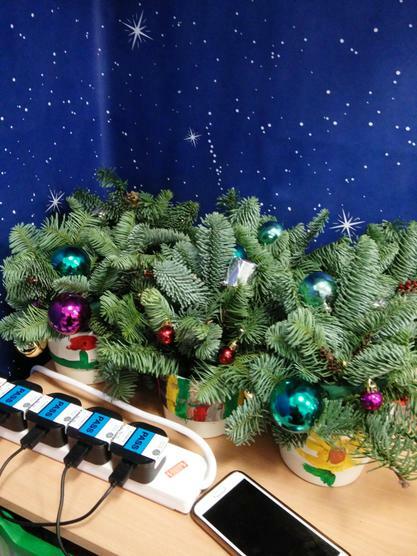 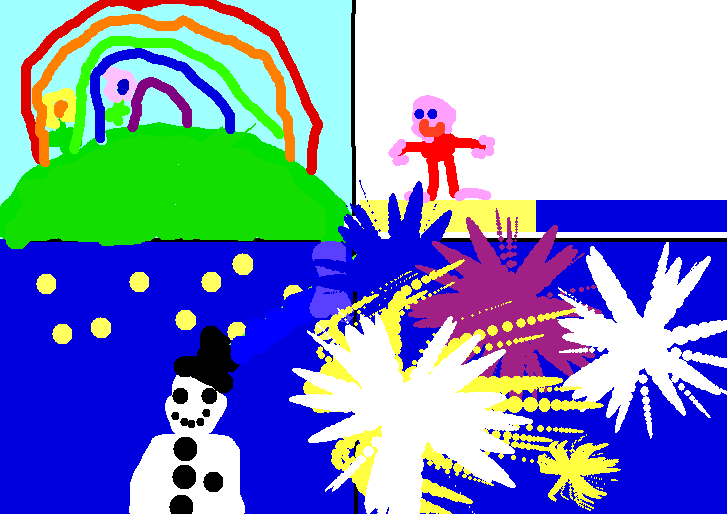 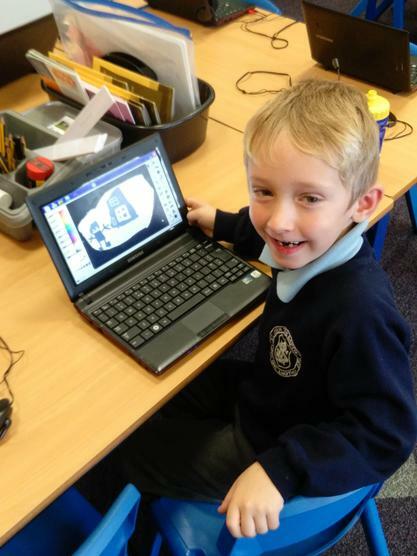 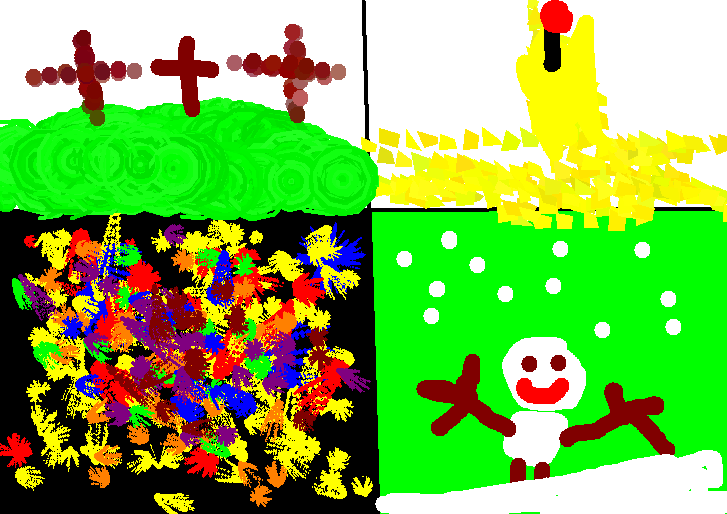 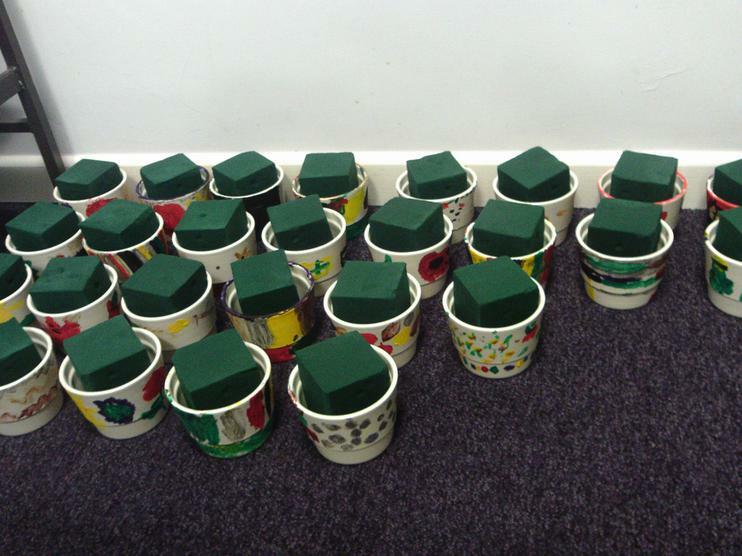 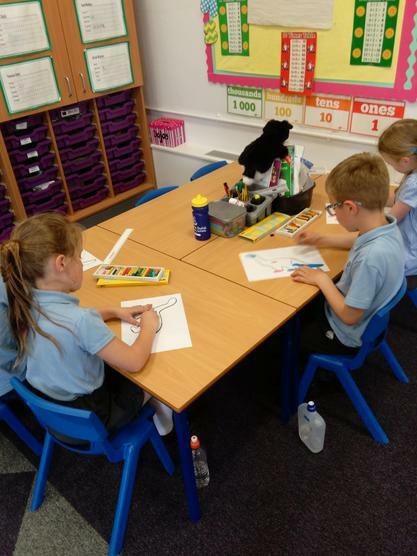 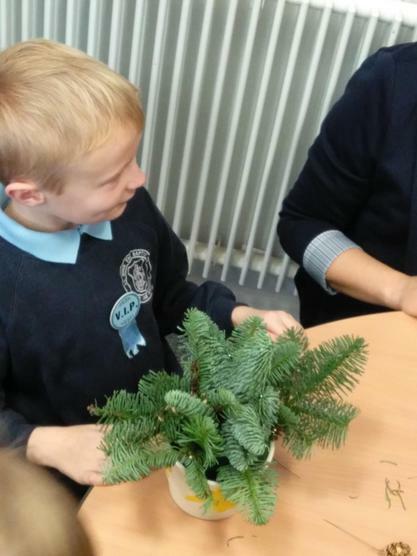 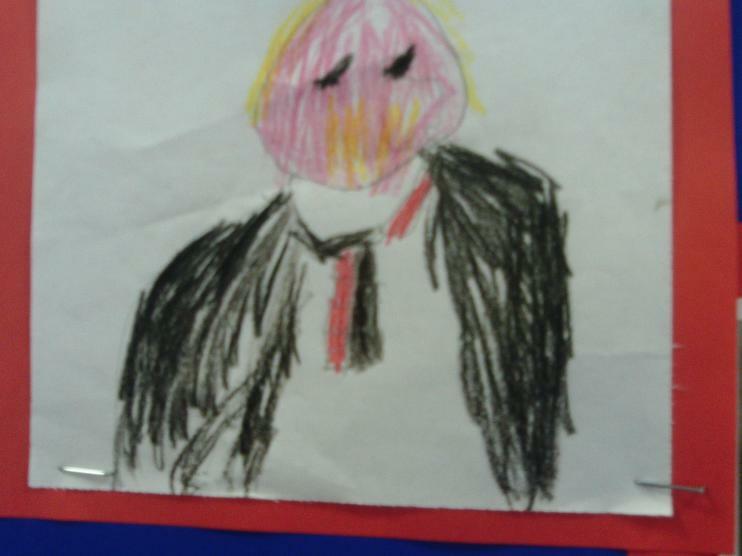 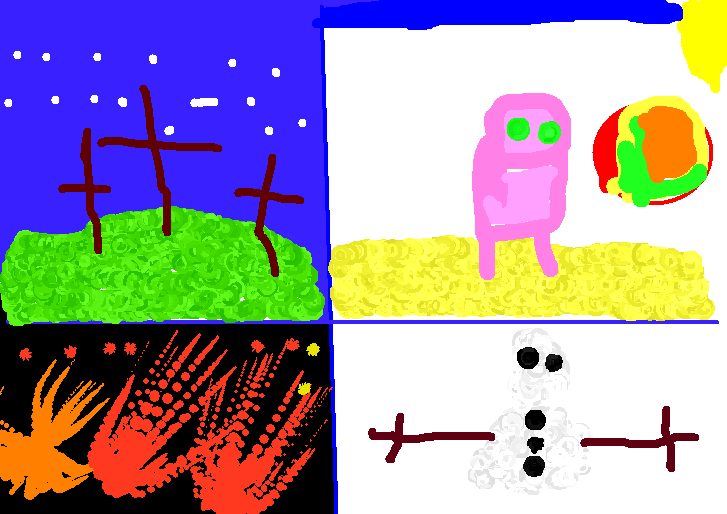 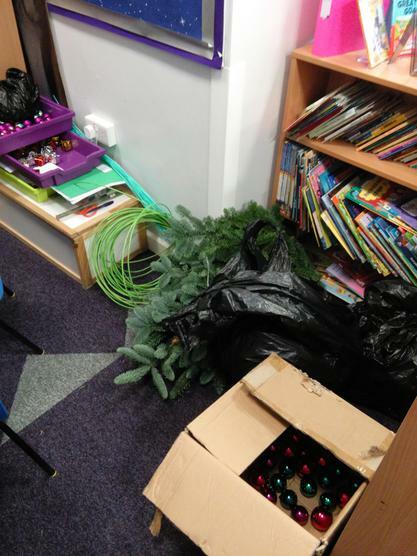 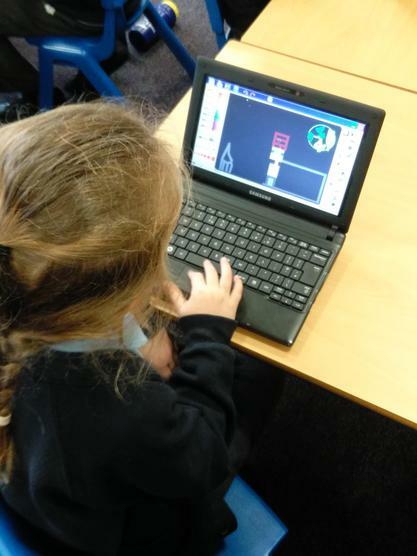 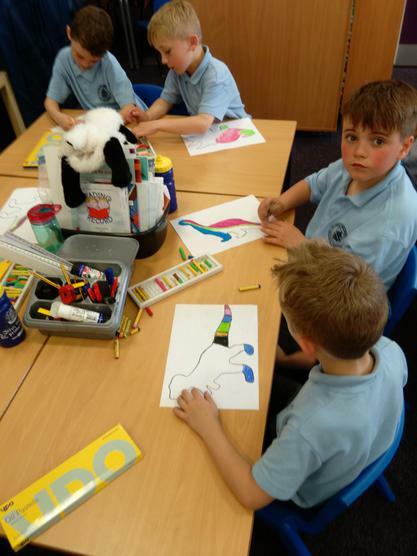 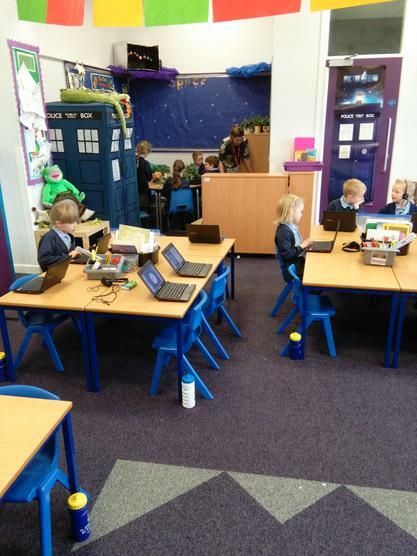 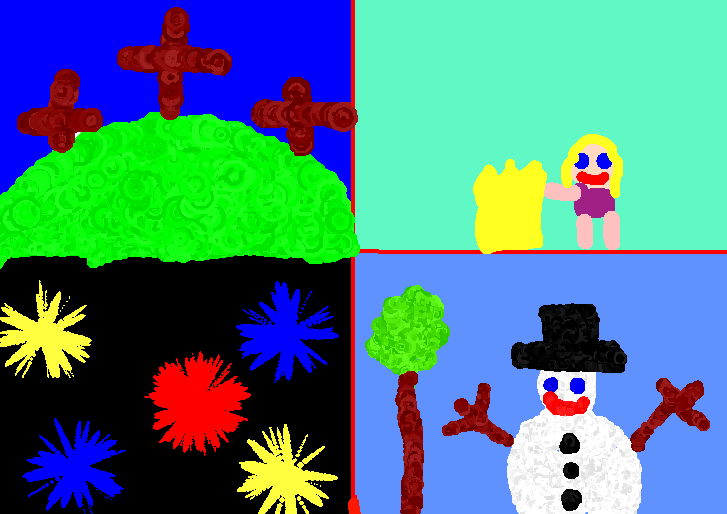 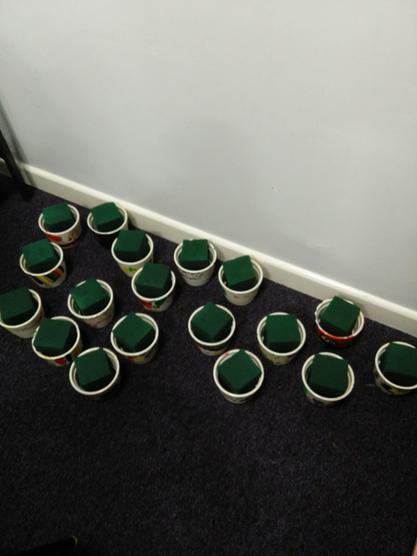 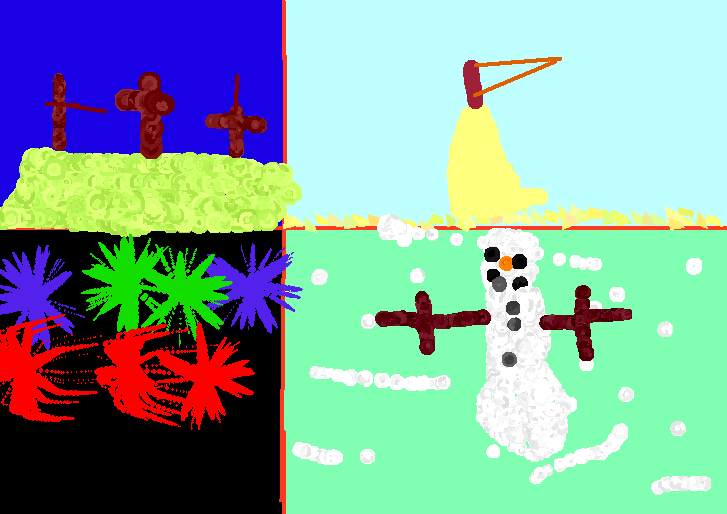 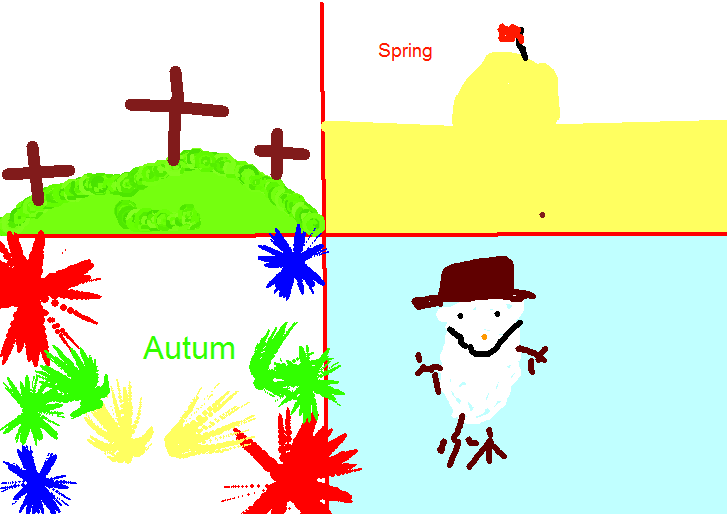 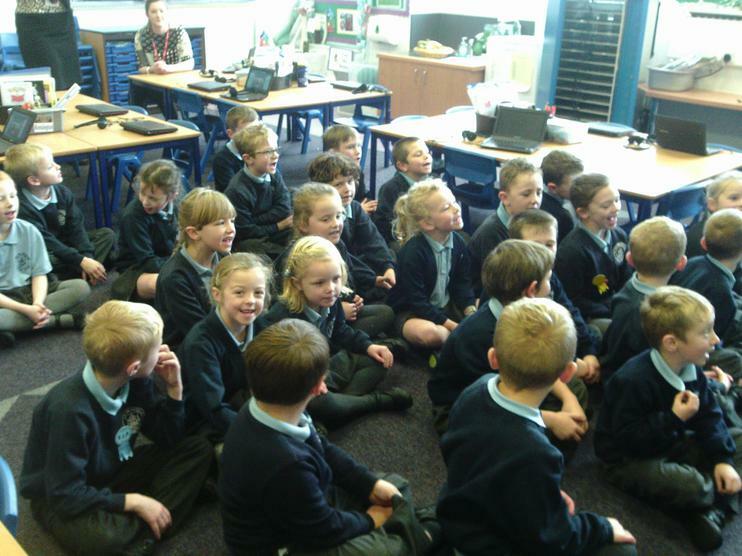 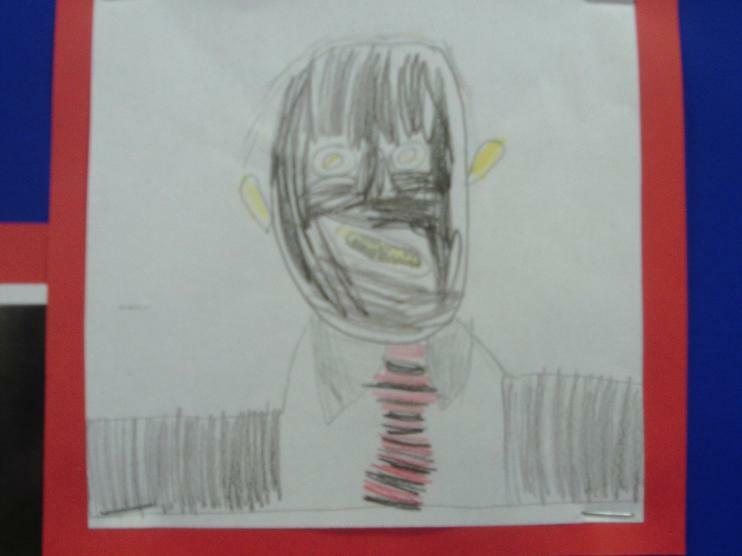 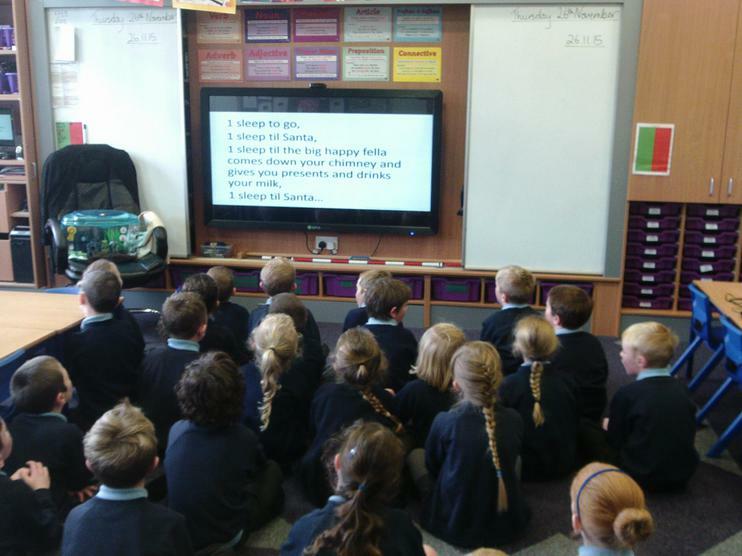 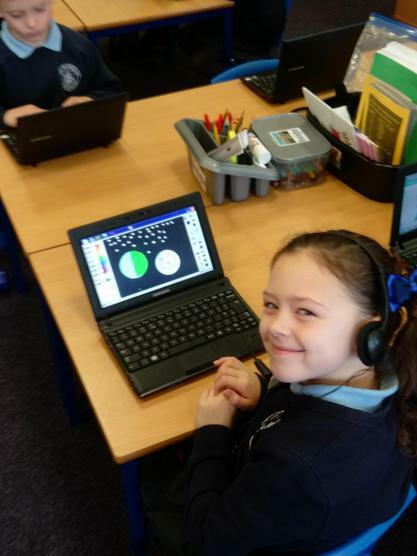 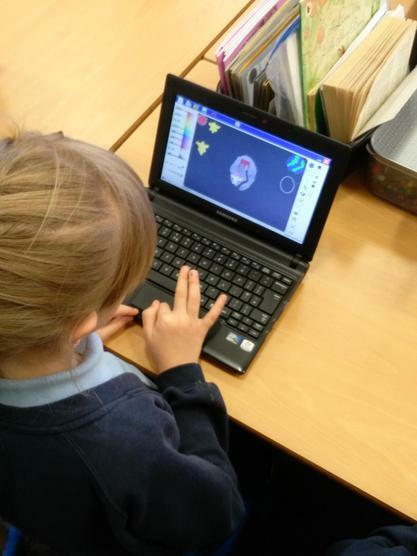 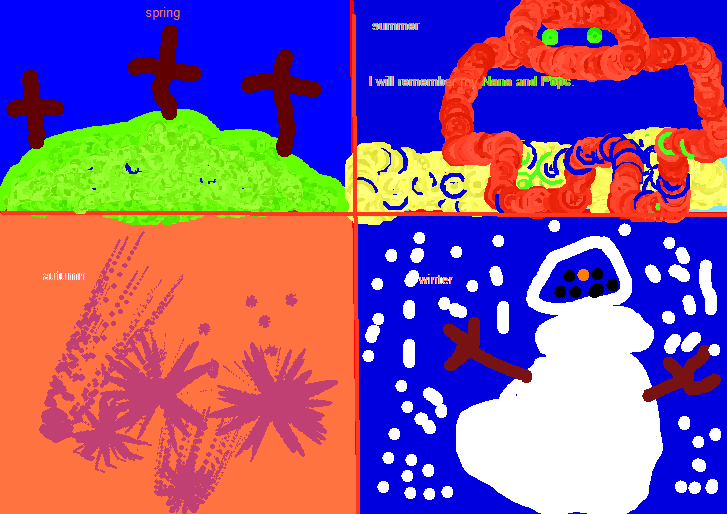 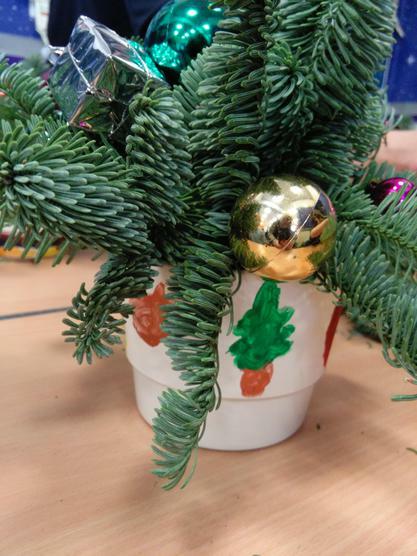 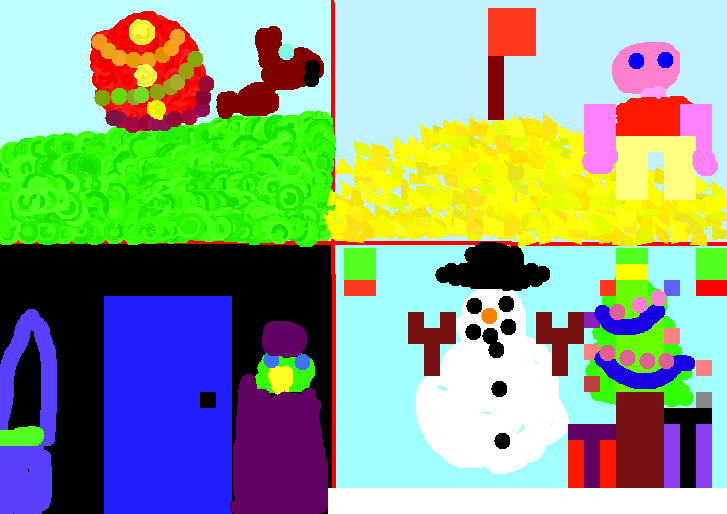 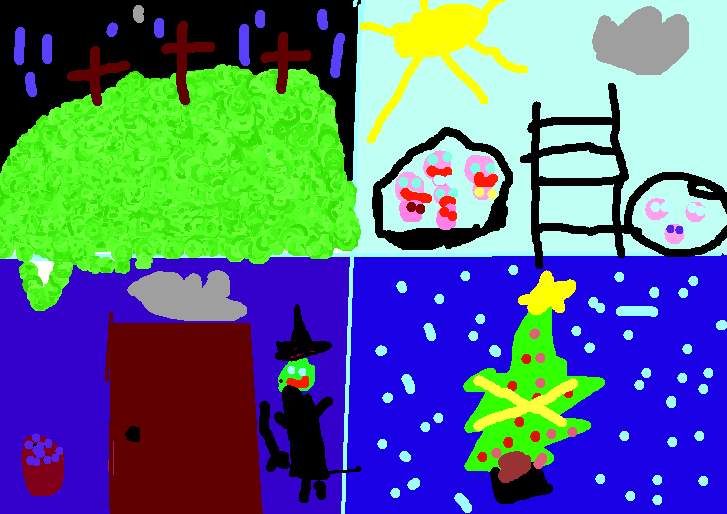 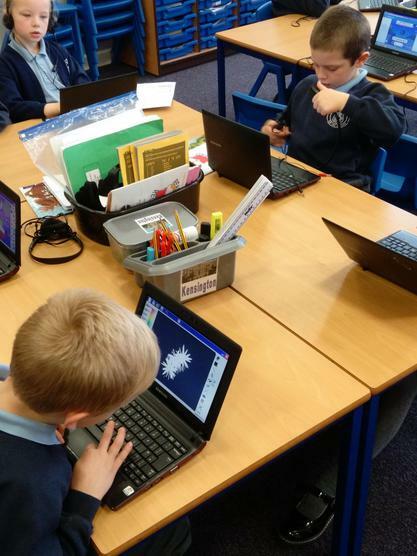 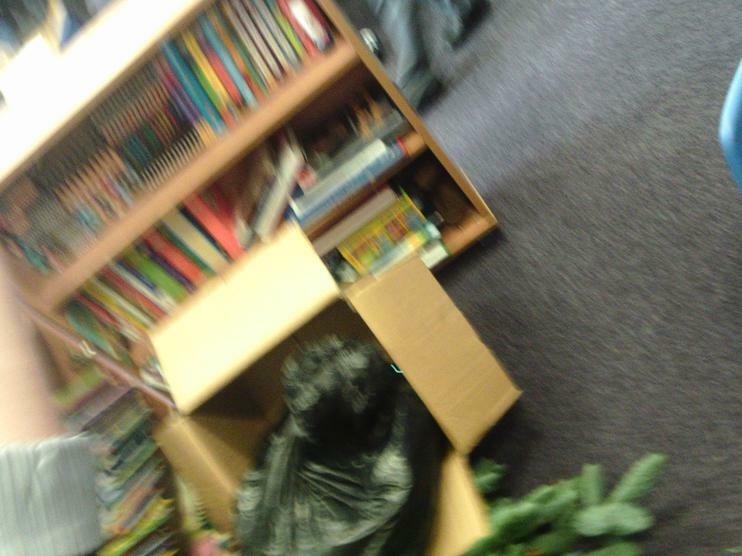 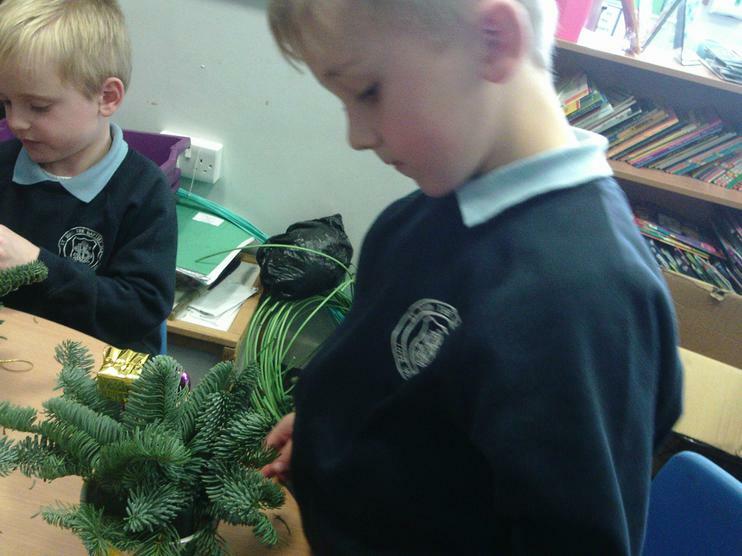 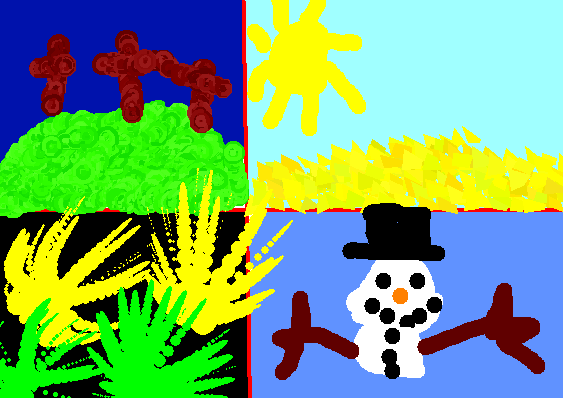 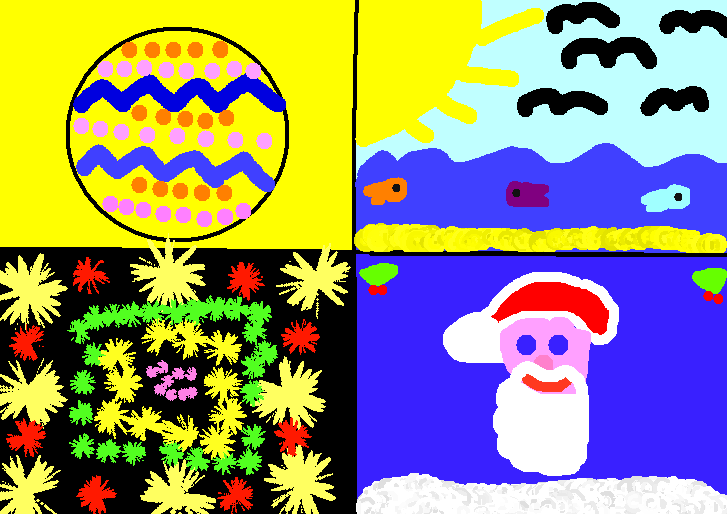 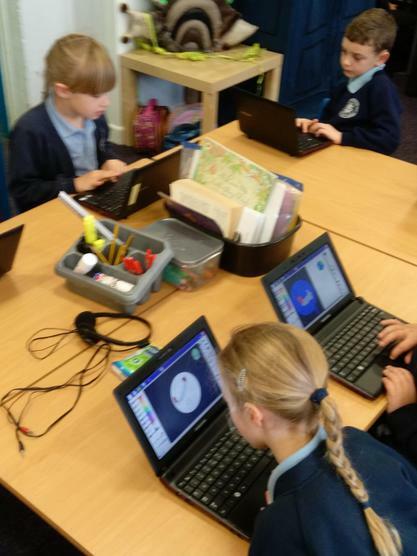 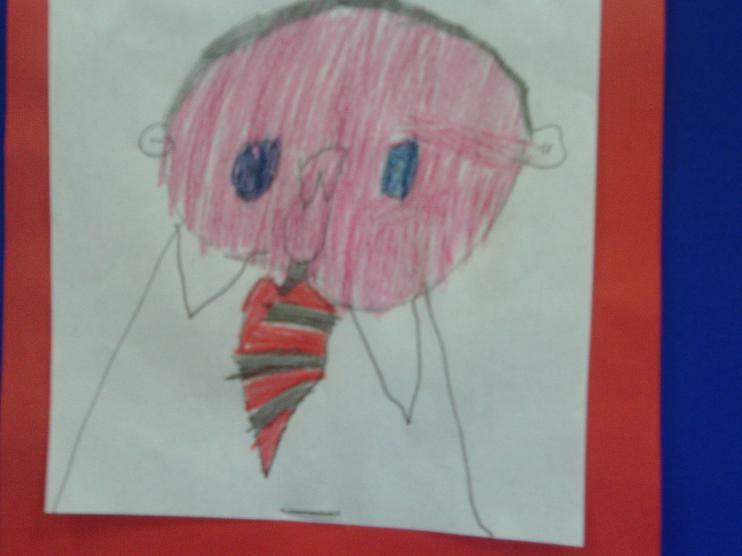 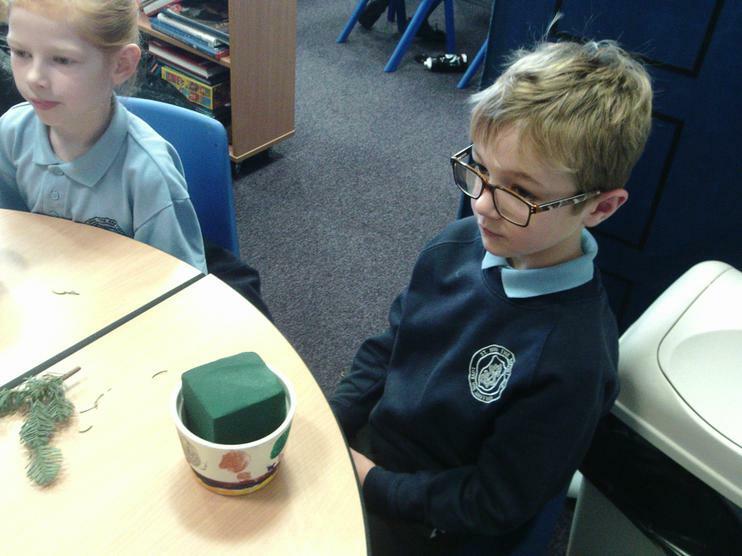 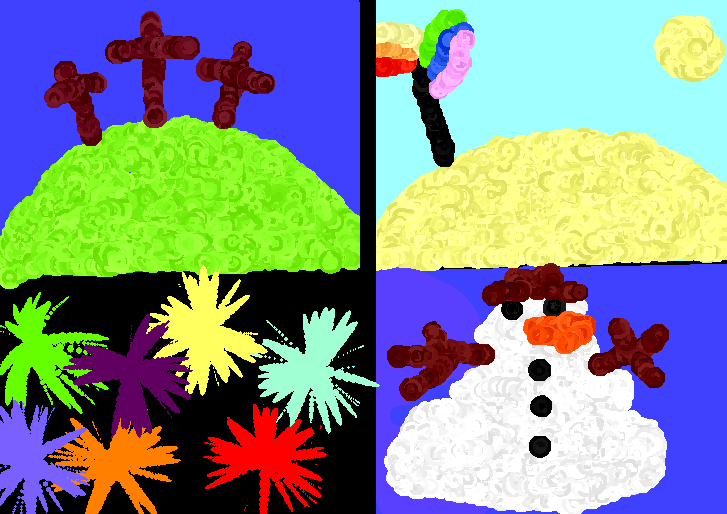 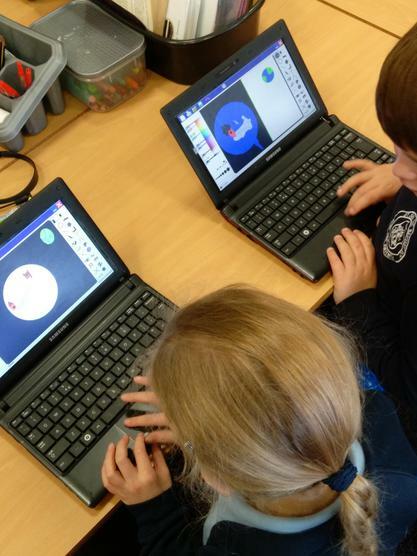 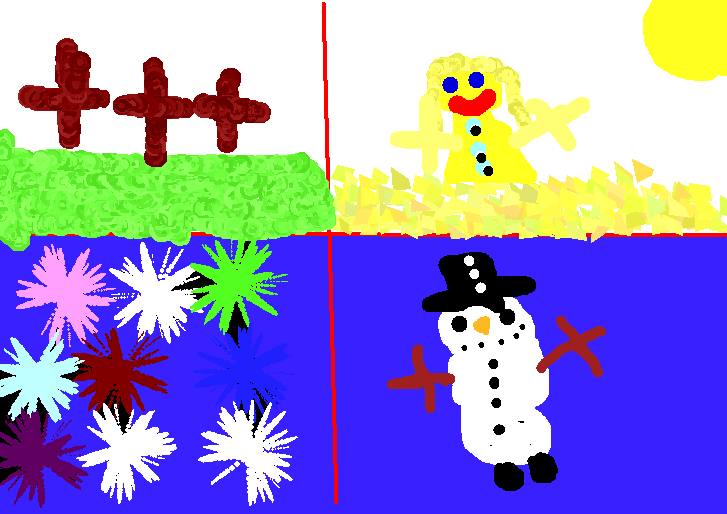 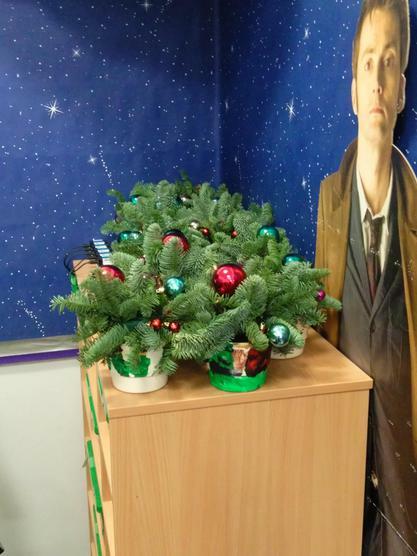 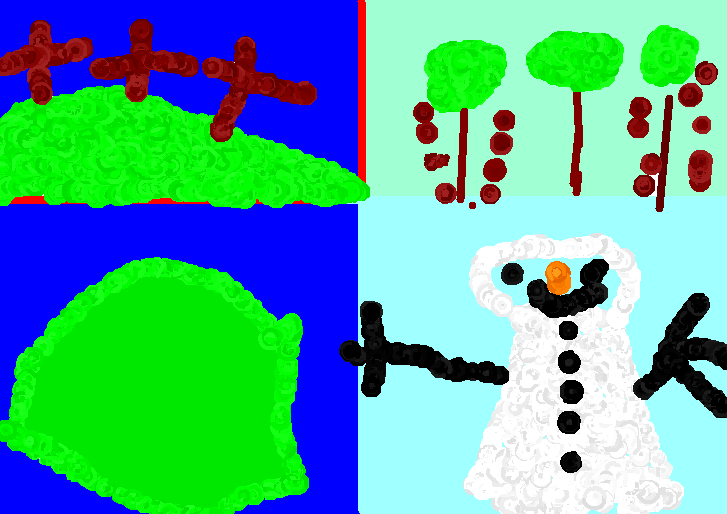 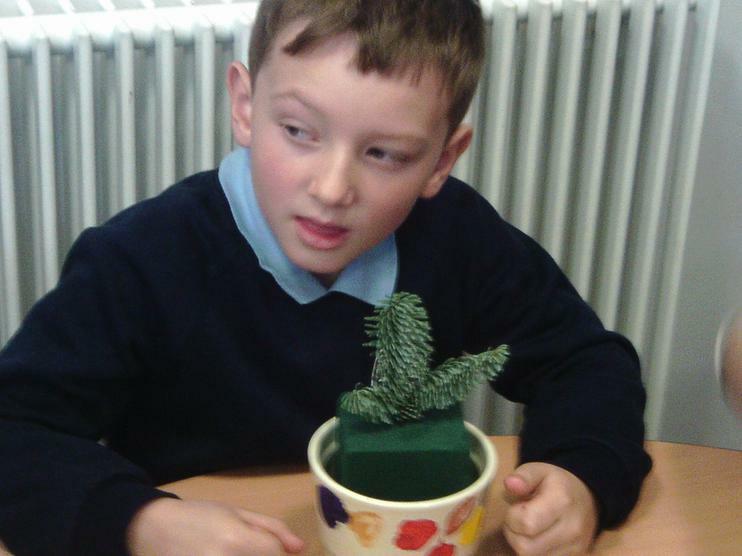 The children have been really lucky in Year 2. 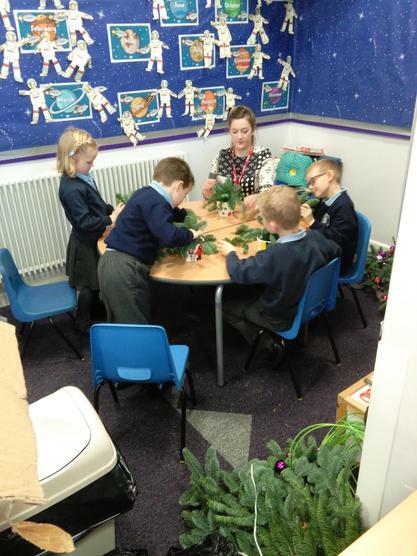 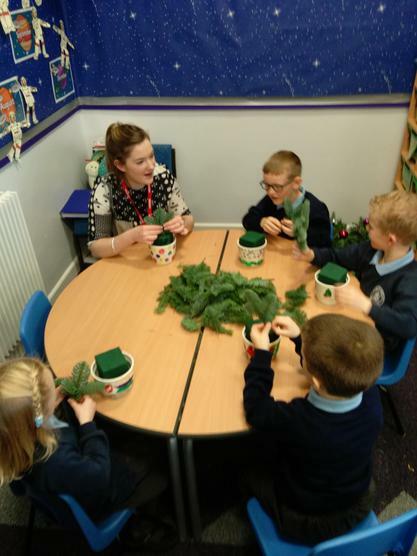 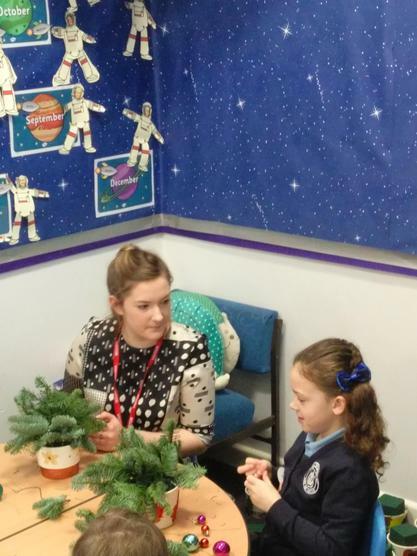 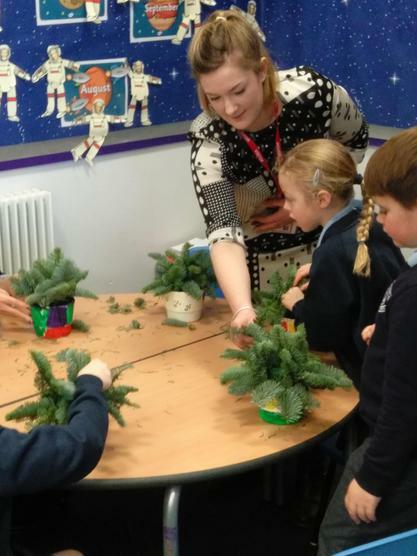 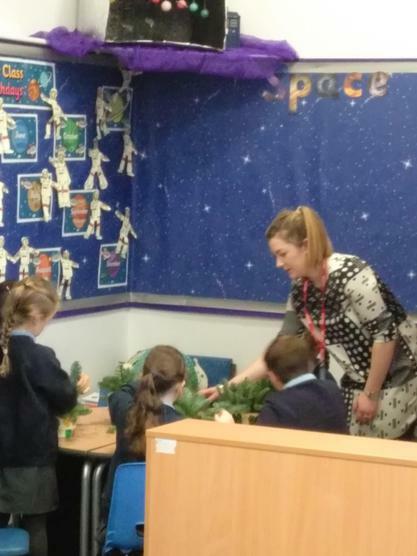 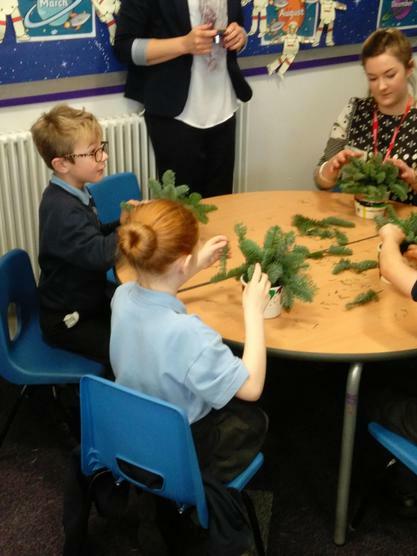 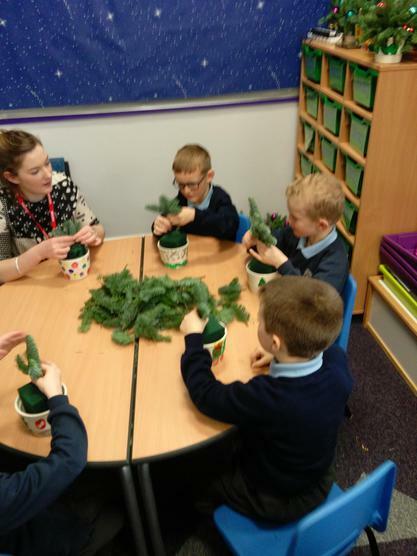 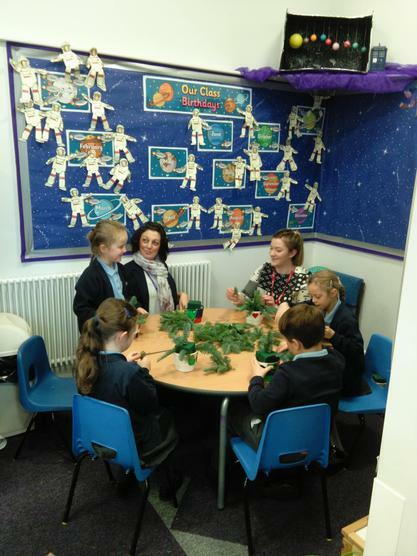 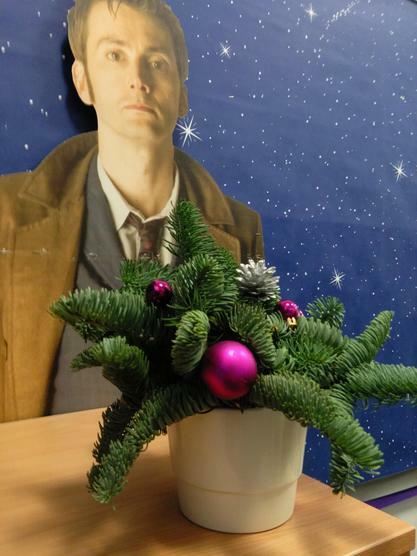 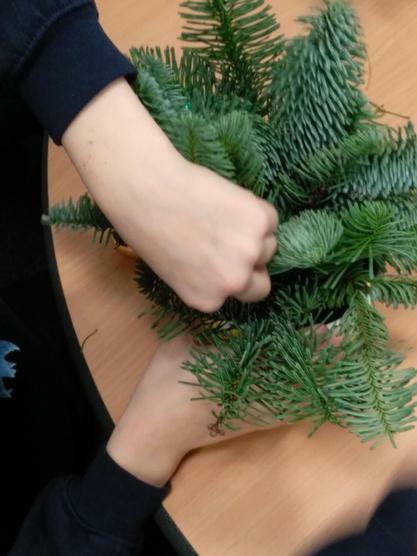 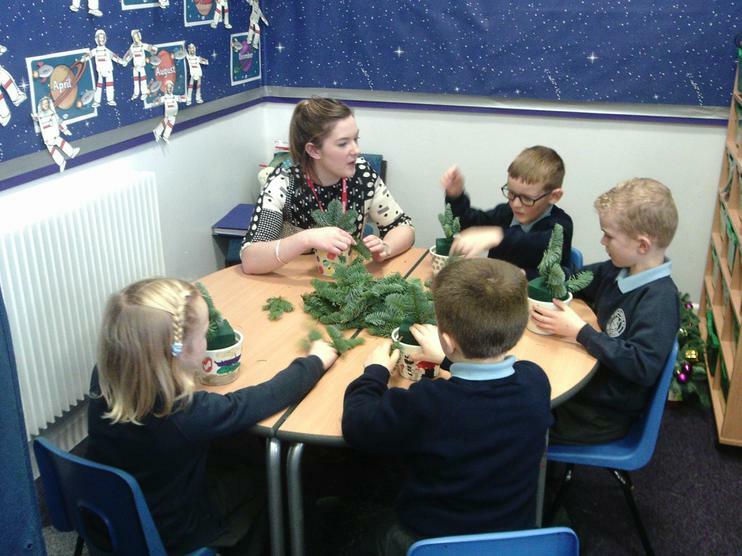 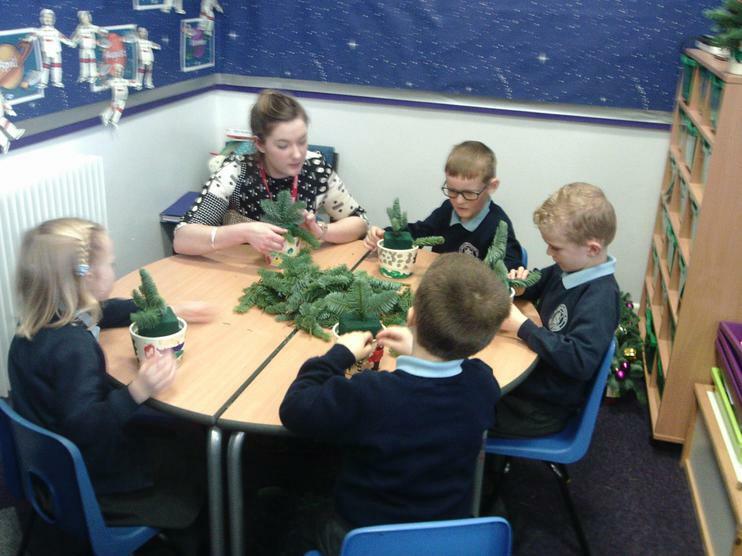 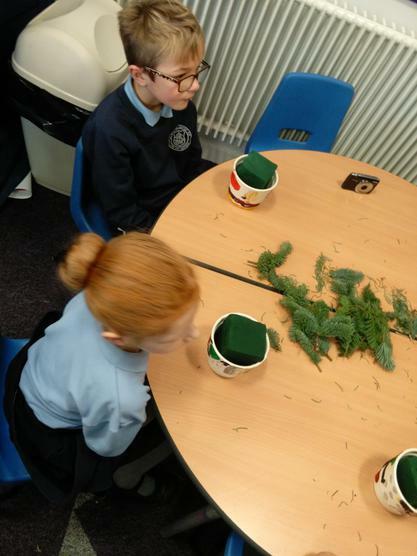 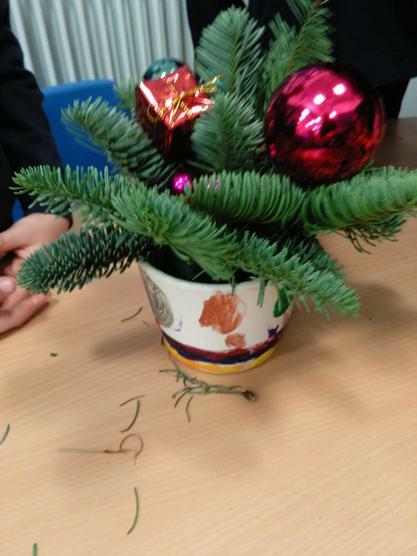 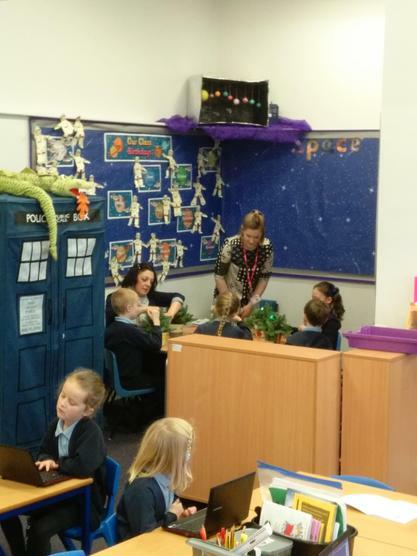 They have a visitor in class, Florence Percival, who is studying for a degree in Professional Floristry at Myerscough College. 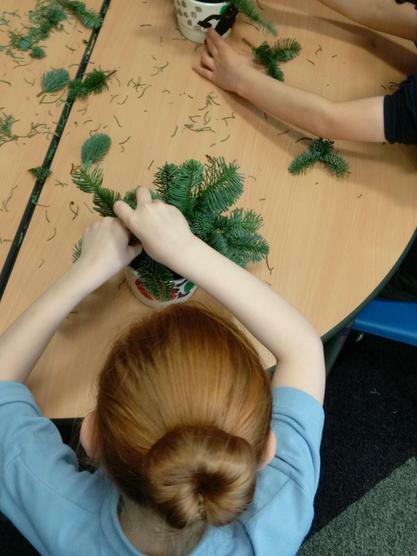 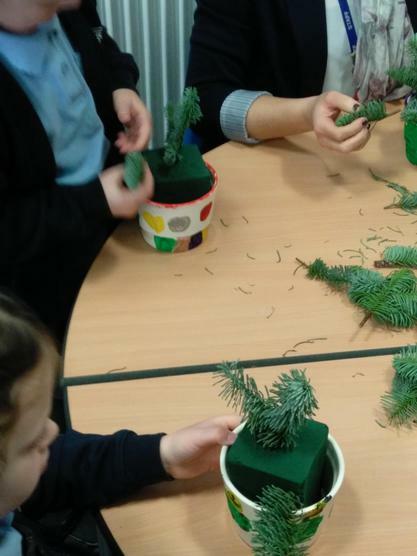 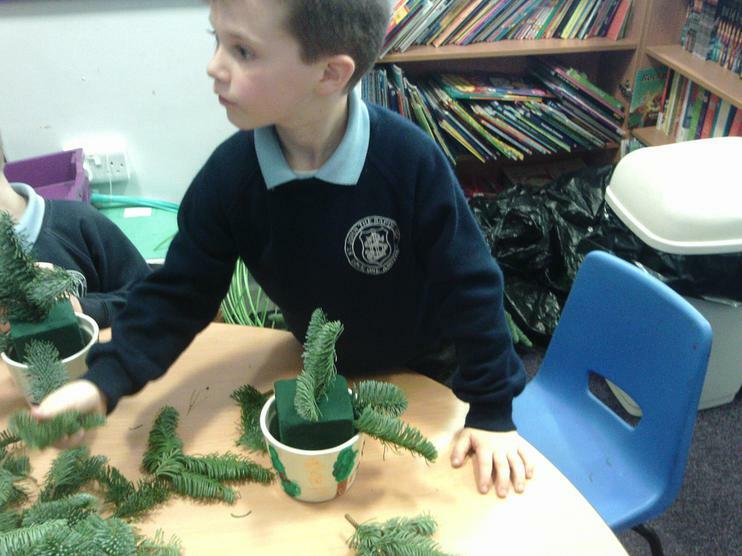 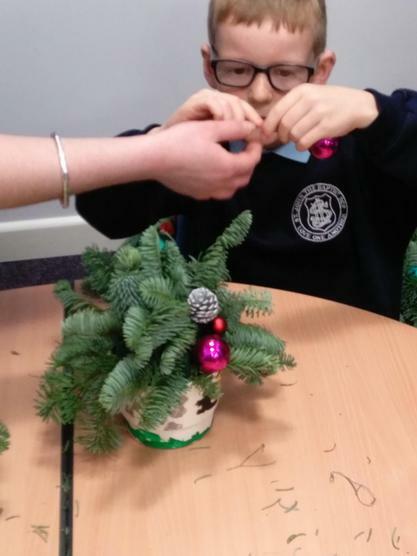 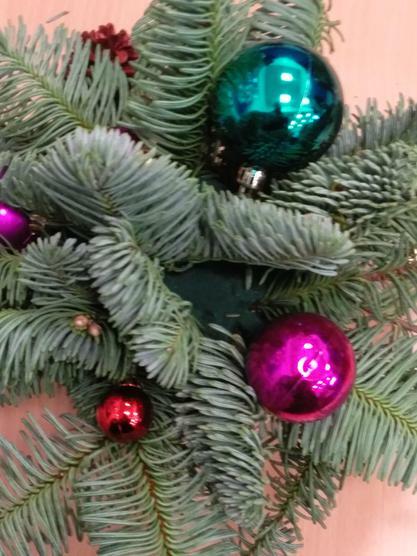 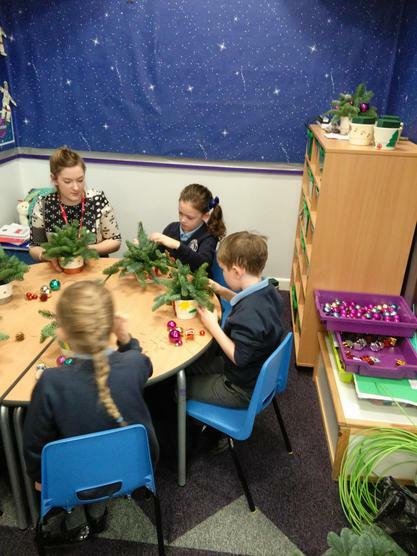 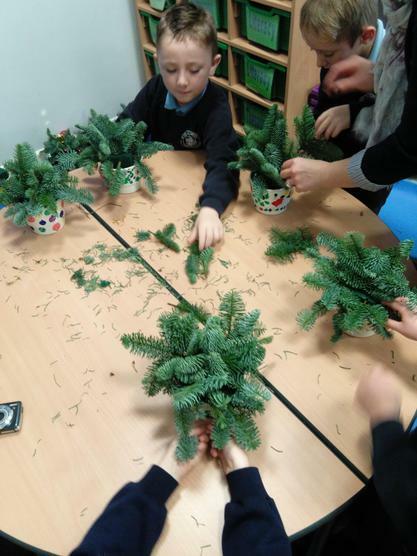 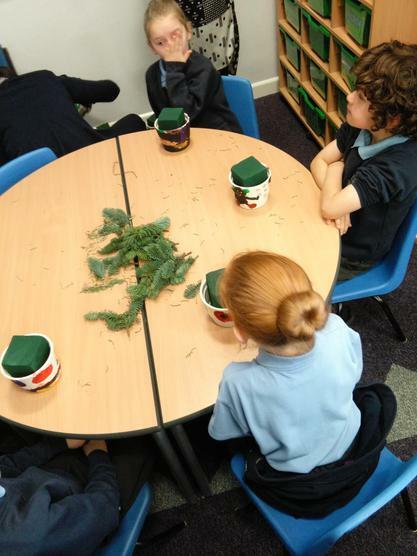 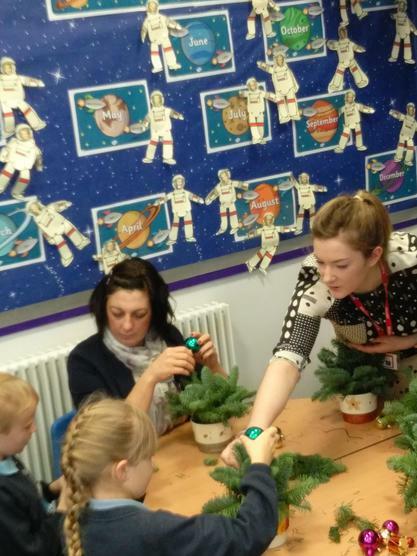 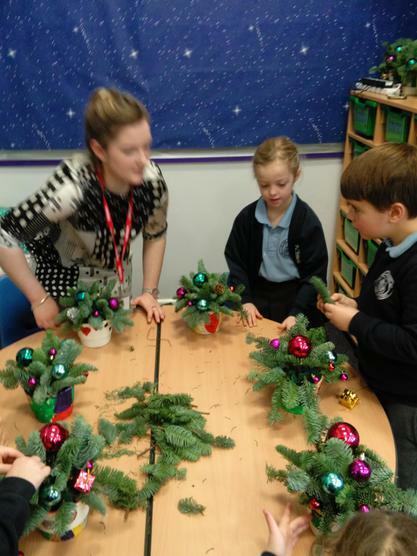 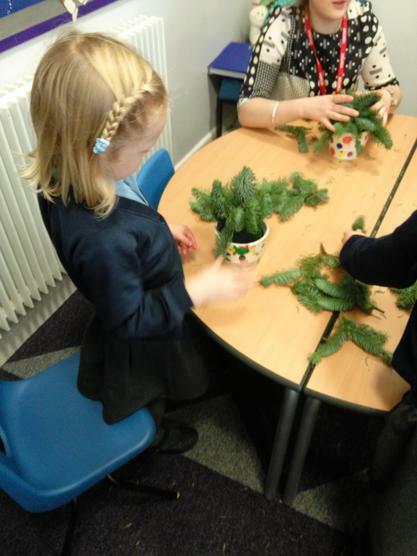 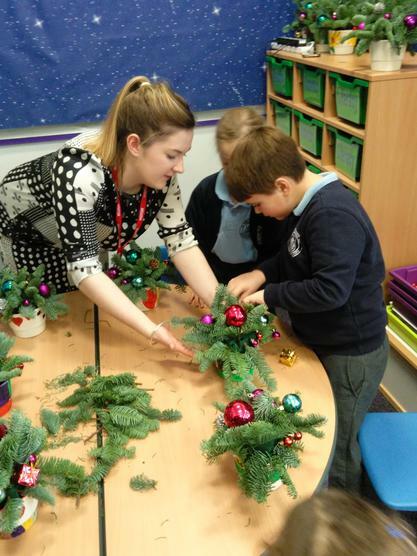 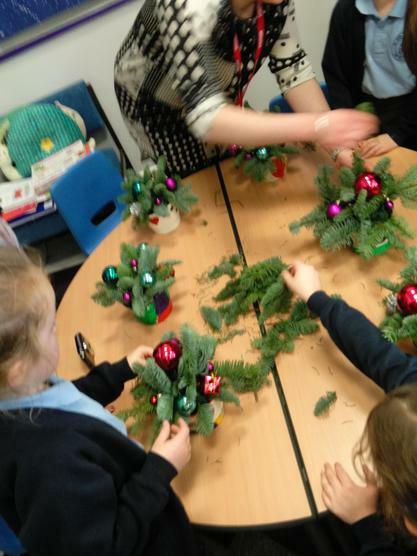 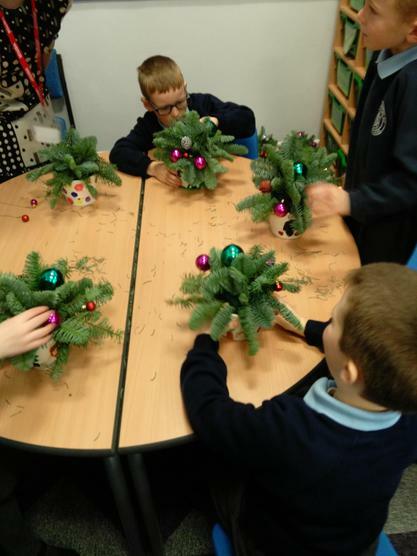 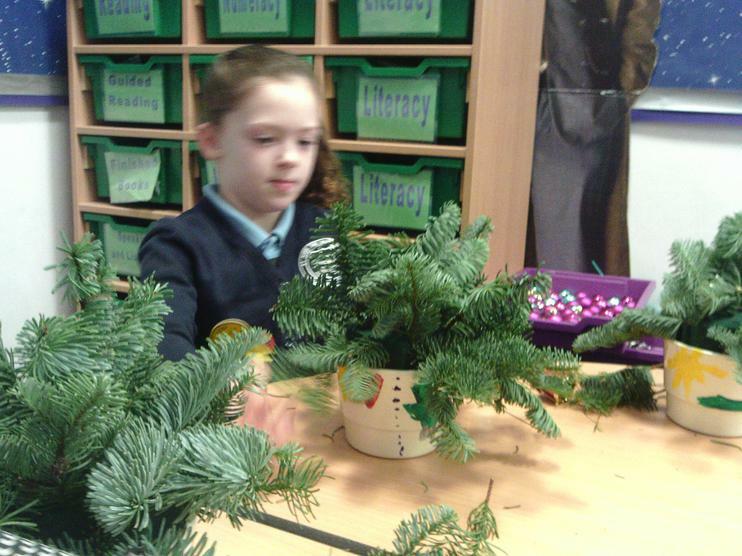 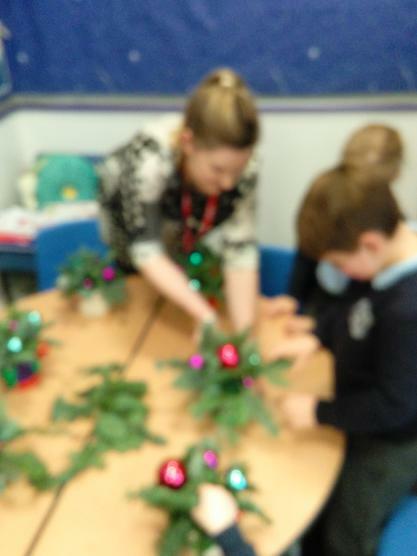 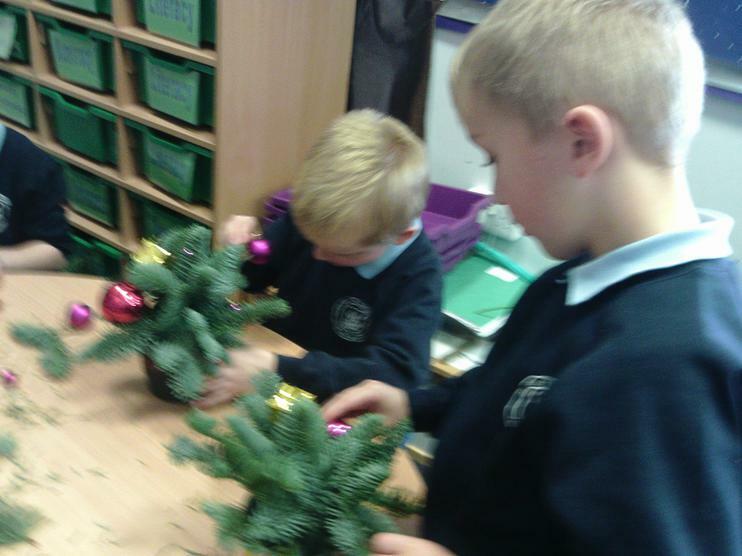 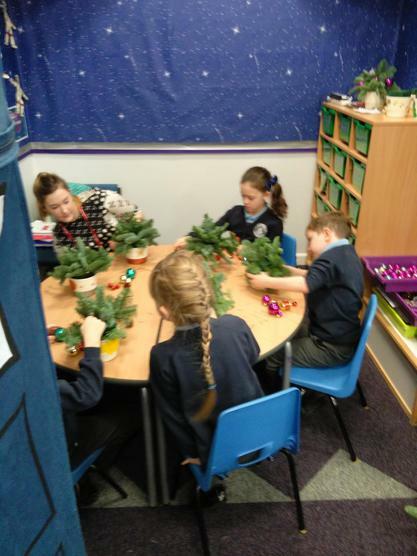 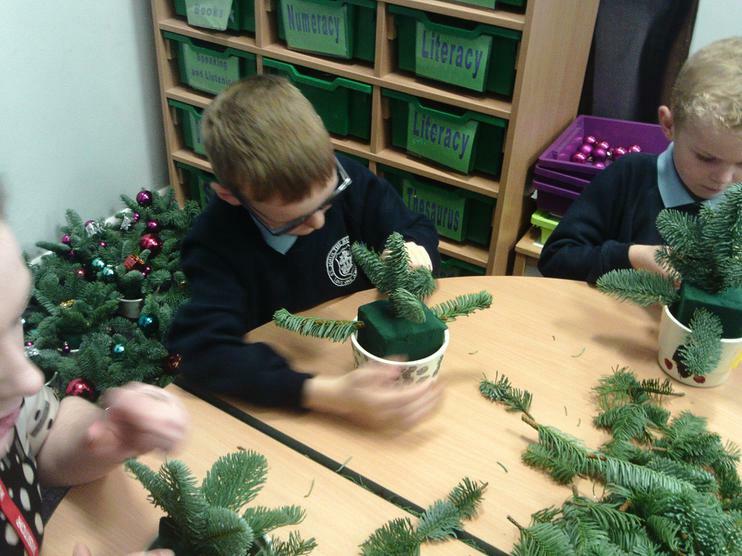 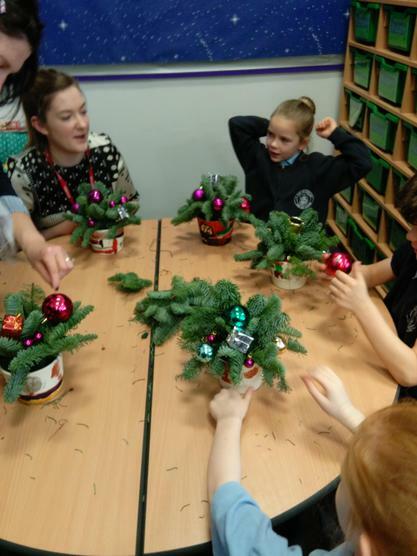 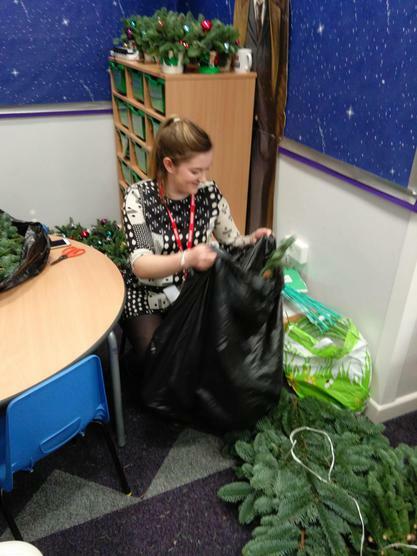 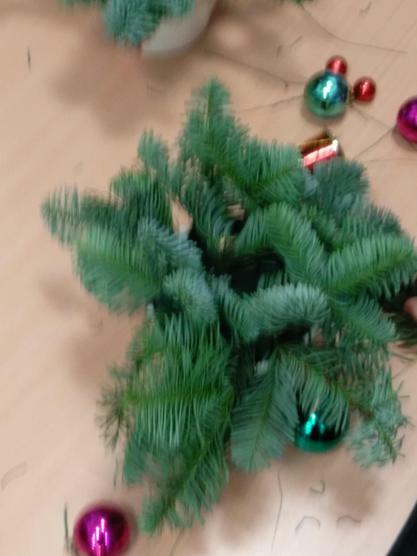 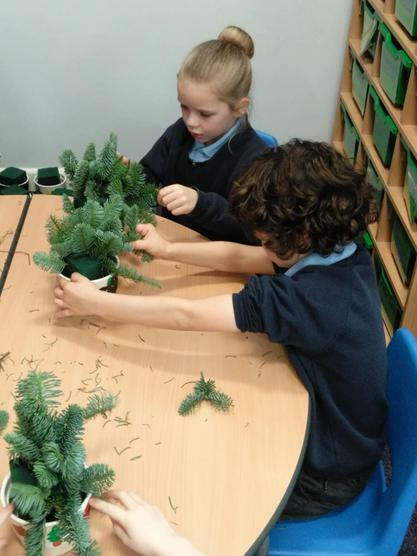 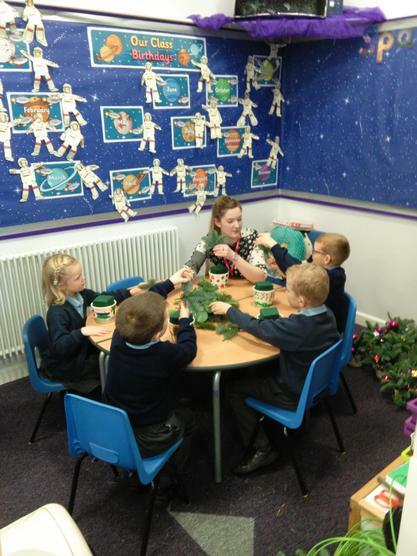 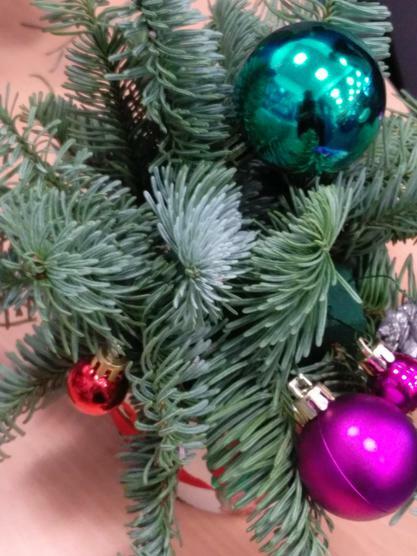 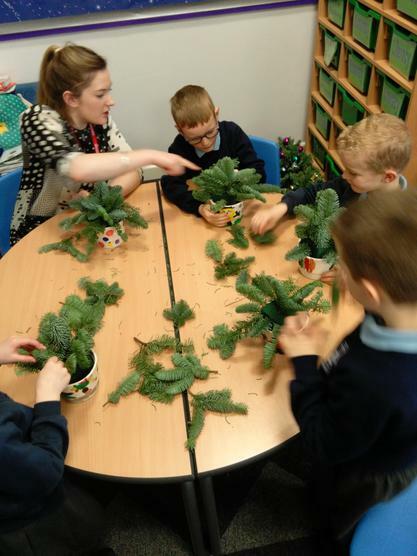 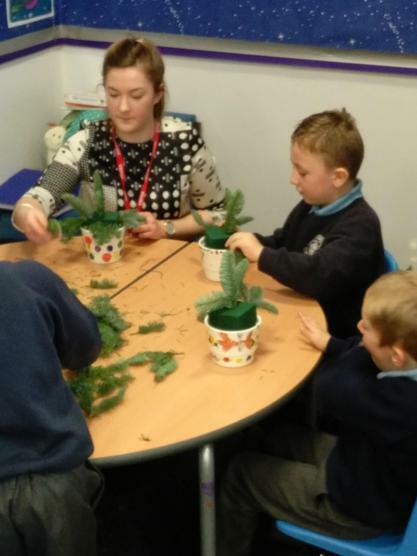 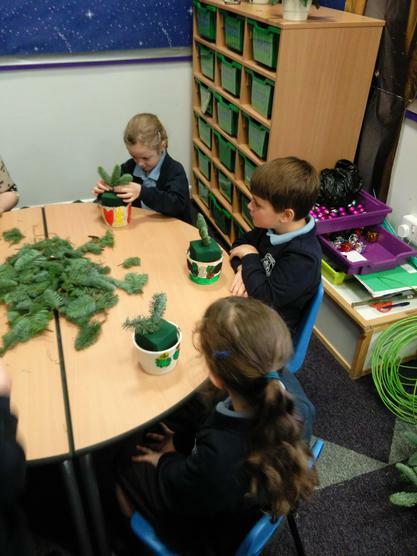 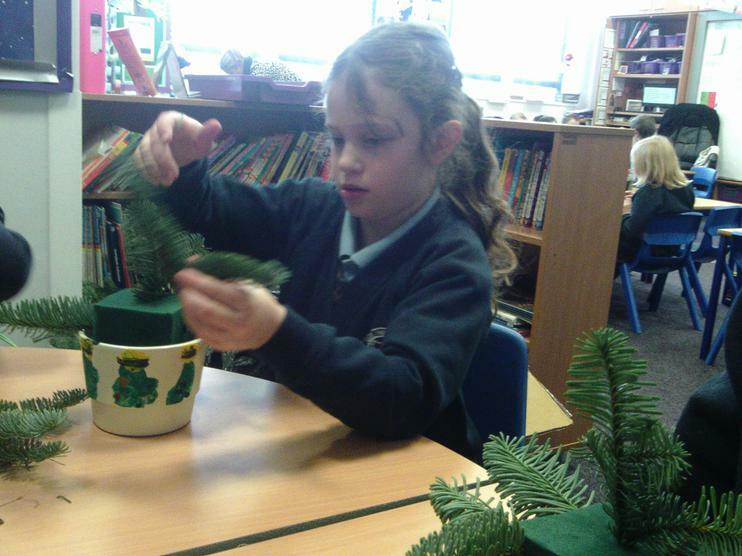 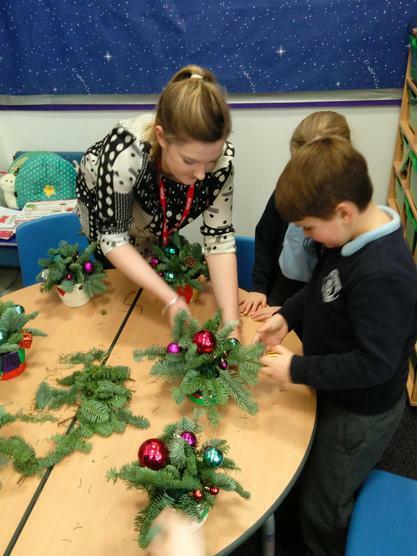 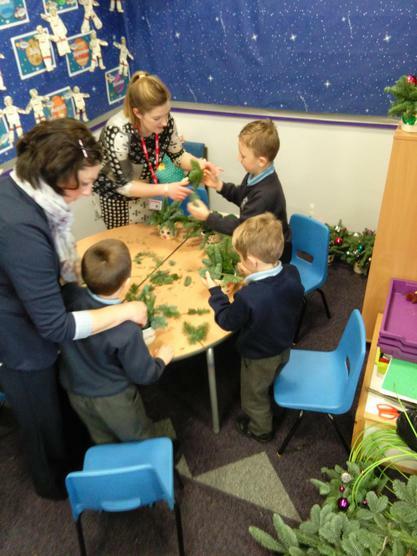 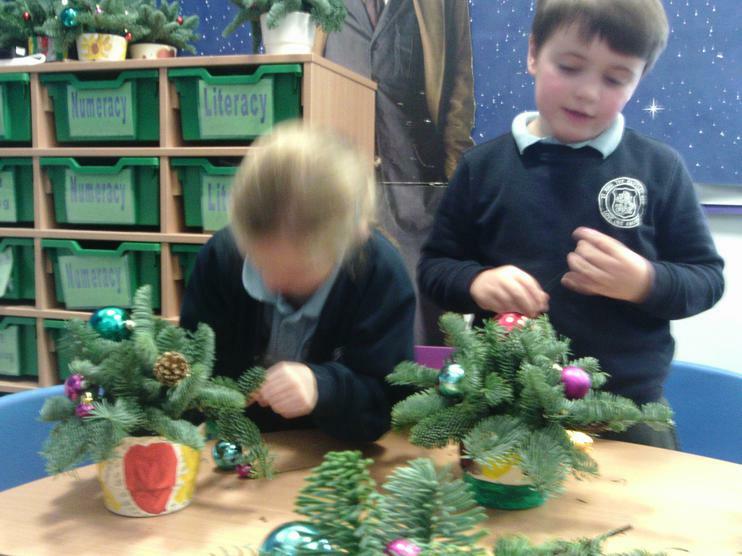 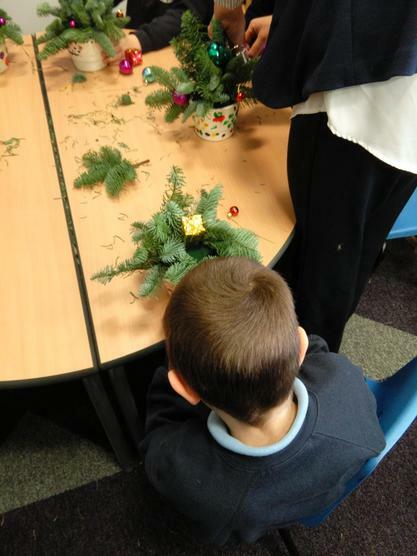 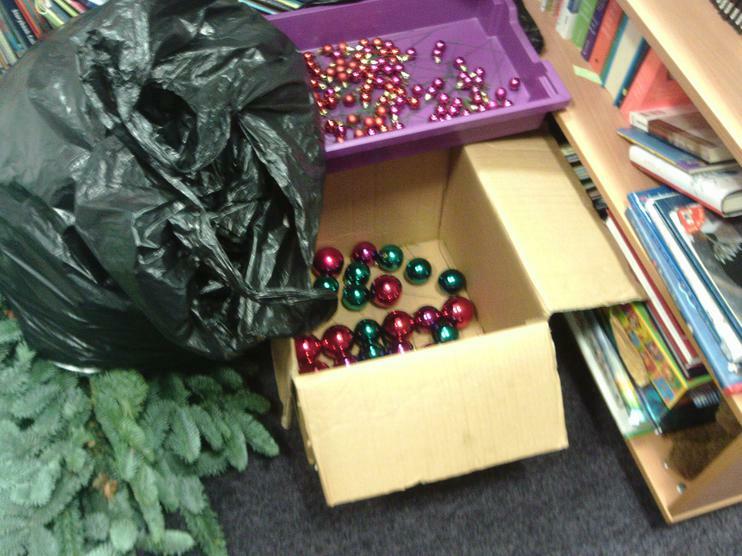 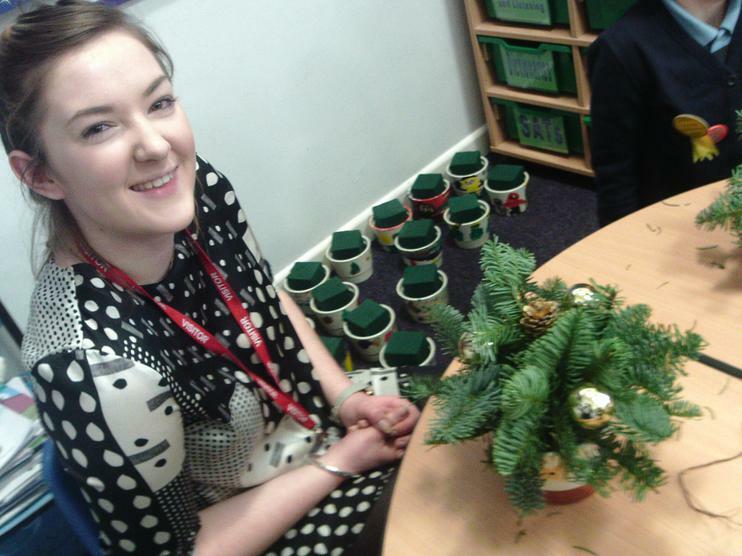 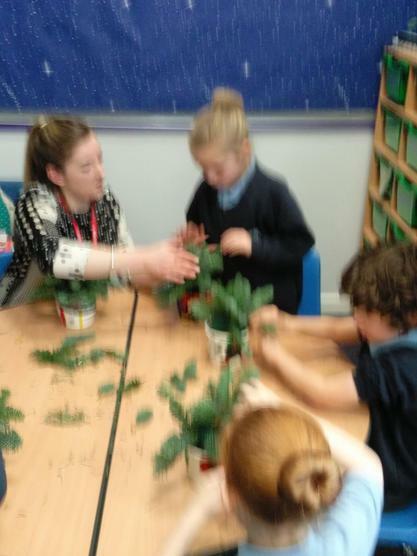 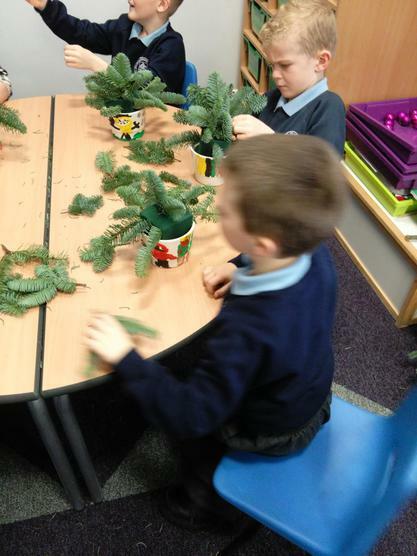 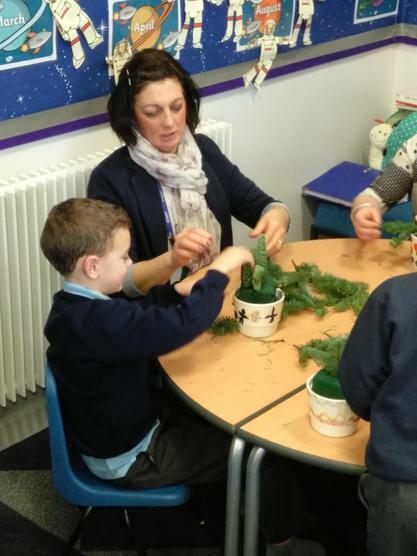 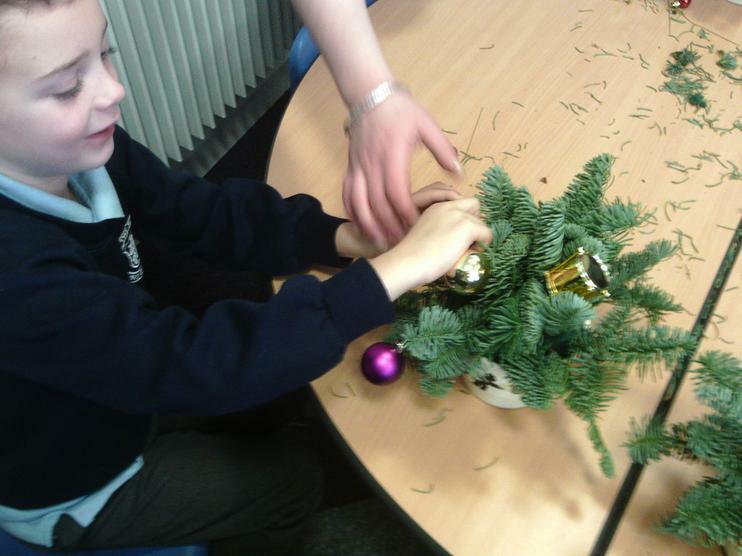 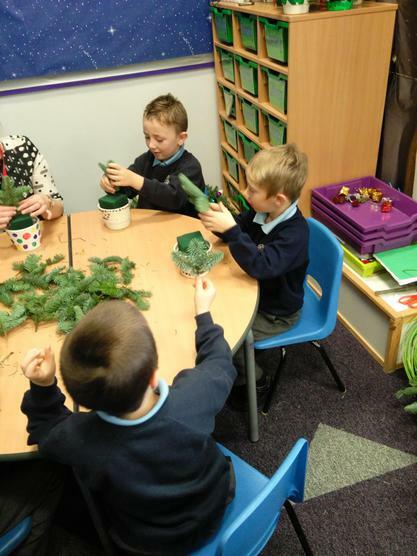 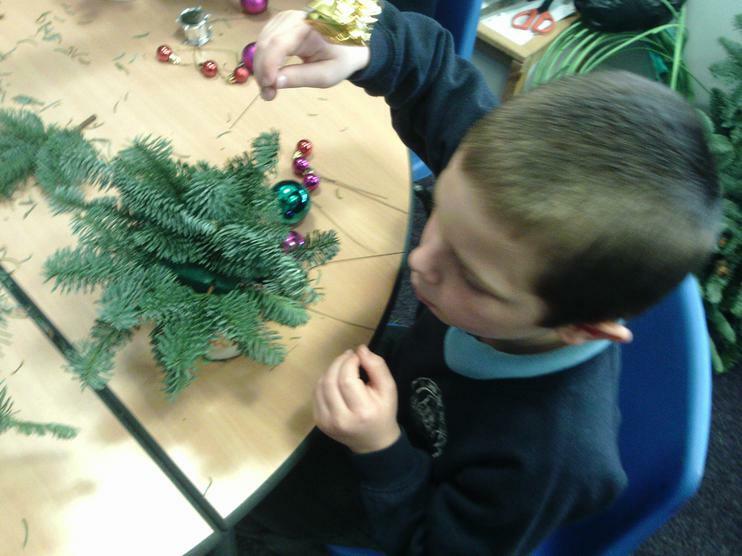 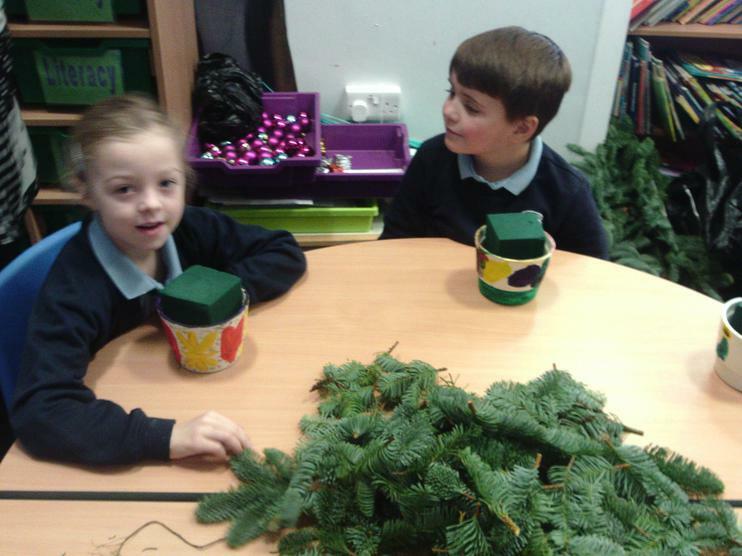 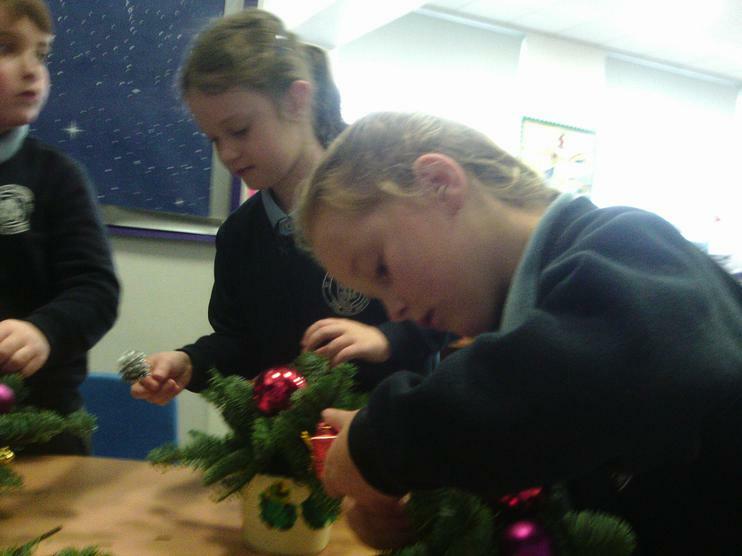 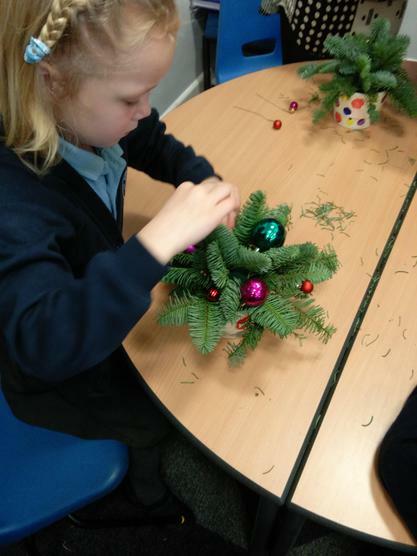 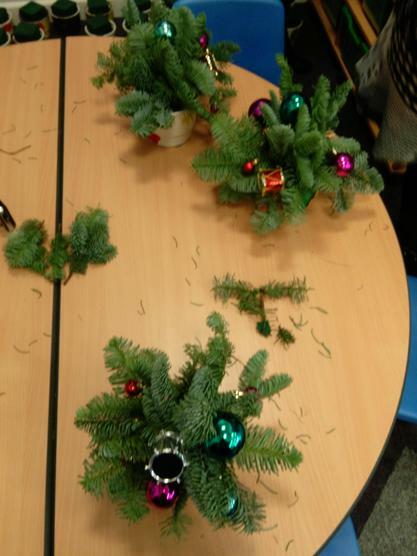 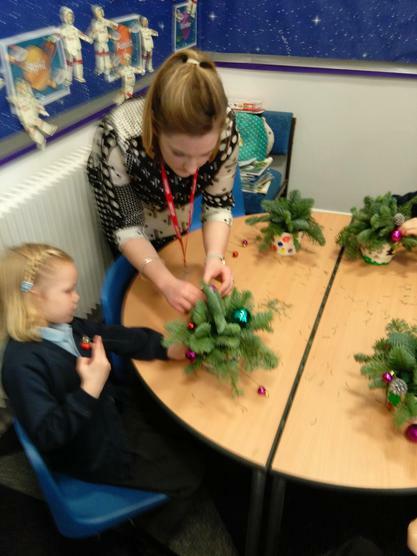 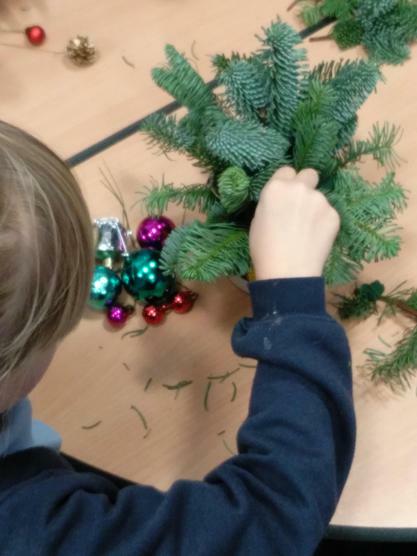 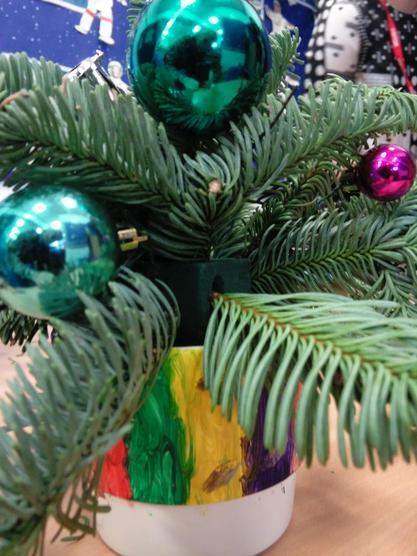 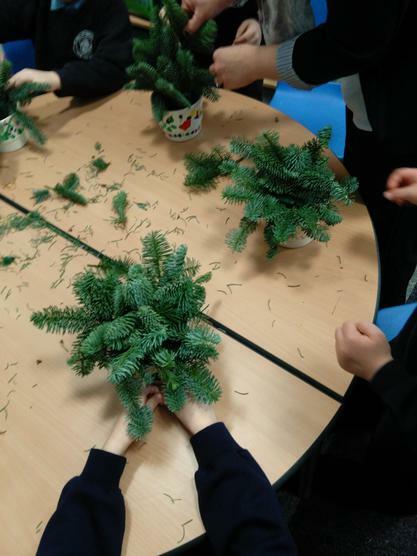 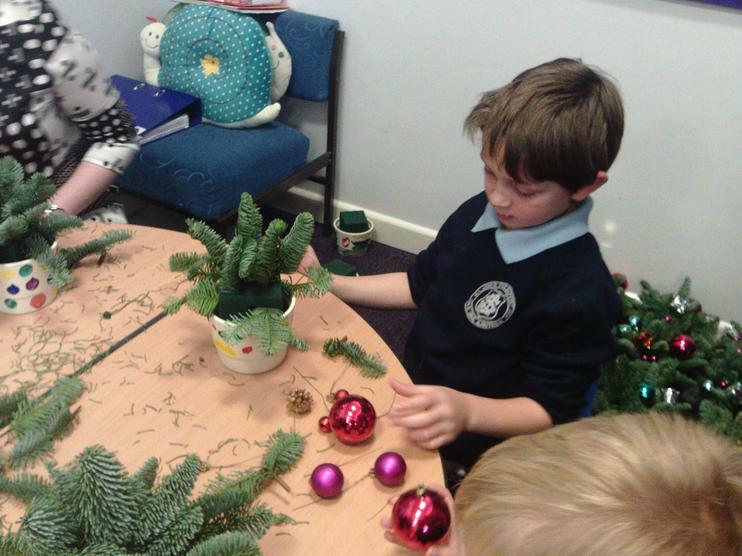 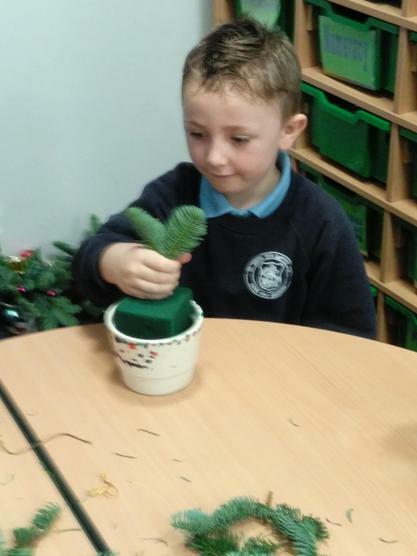 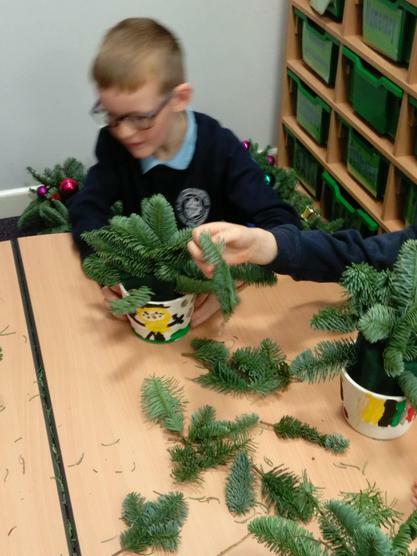 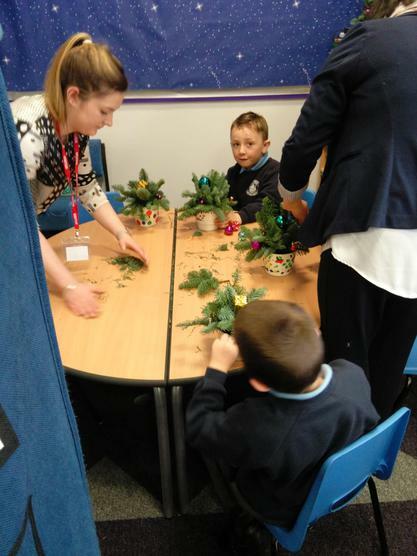 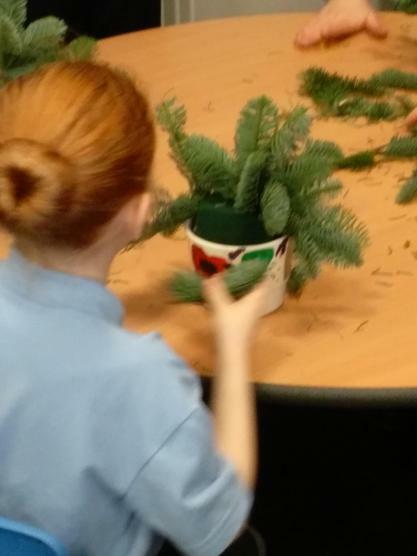 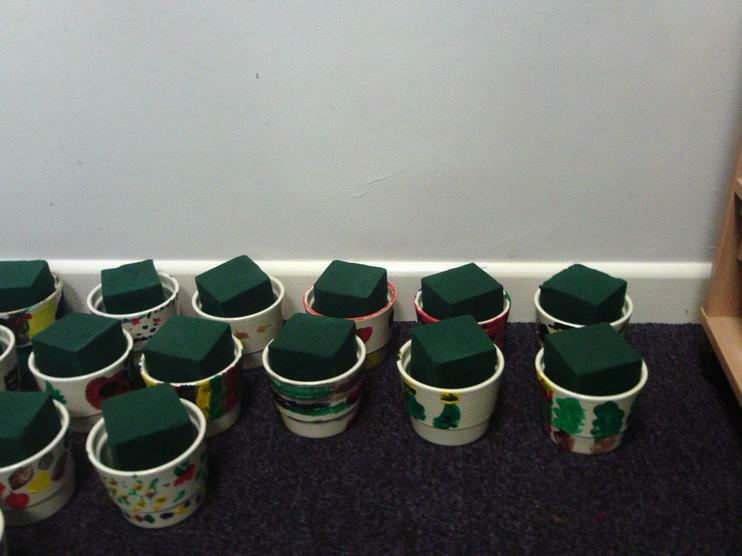 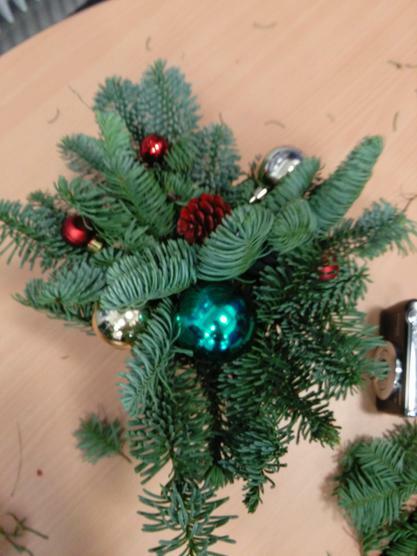 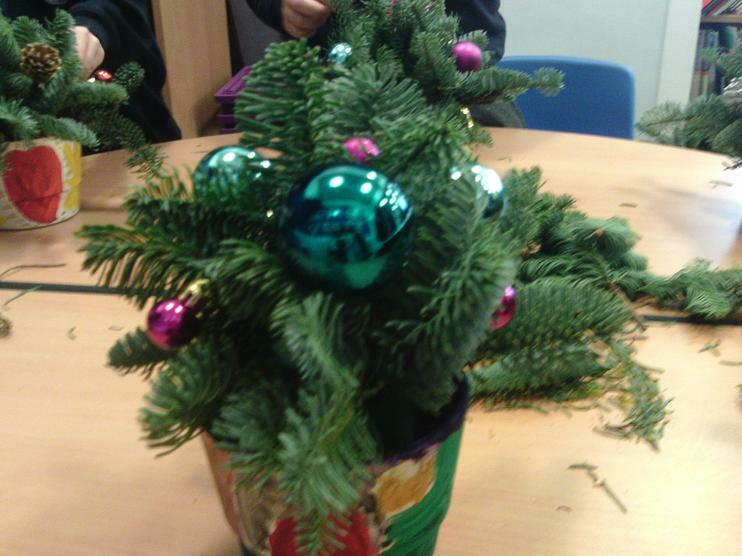 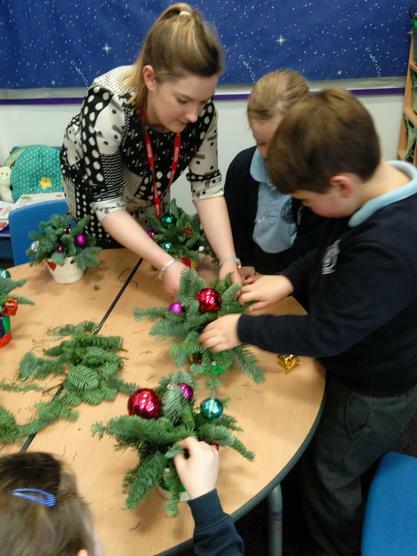 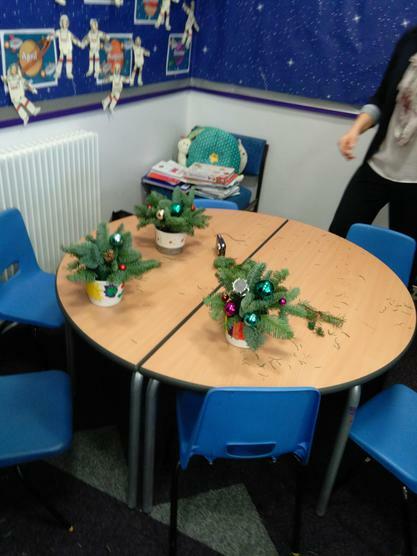 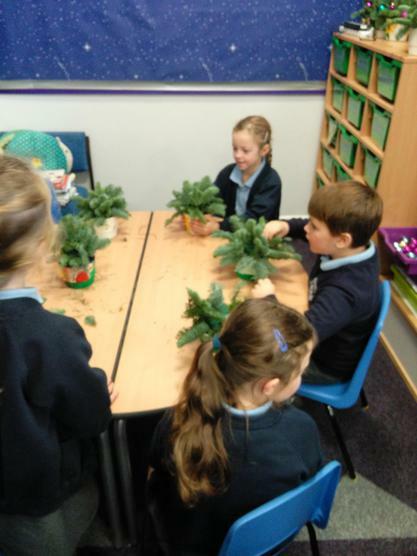 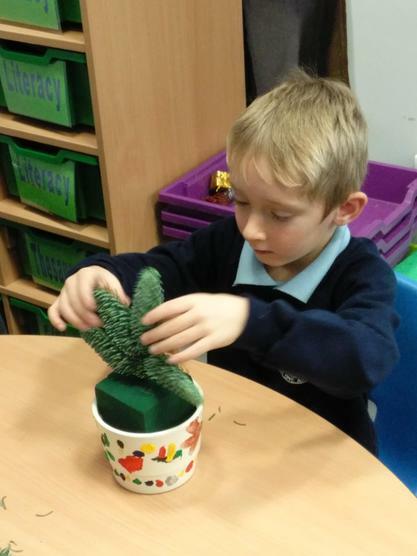 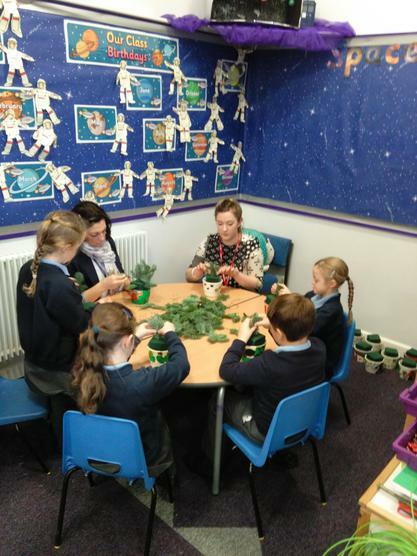 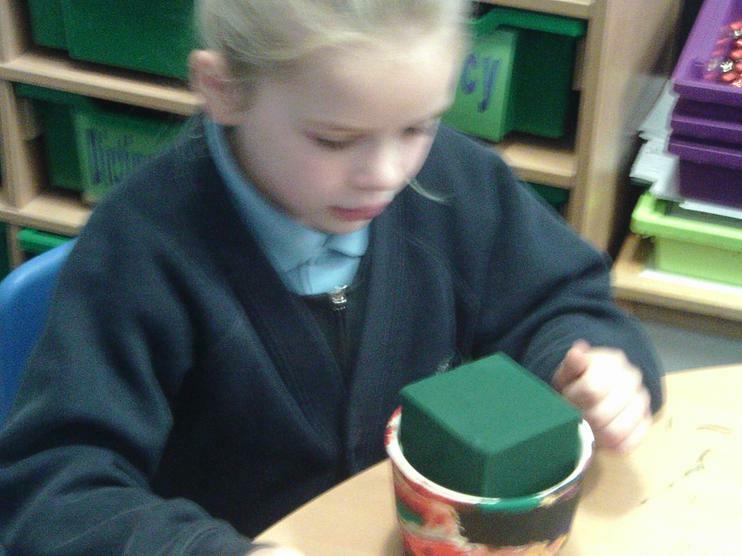 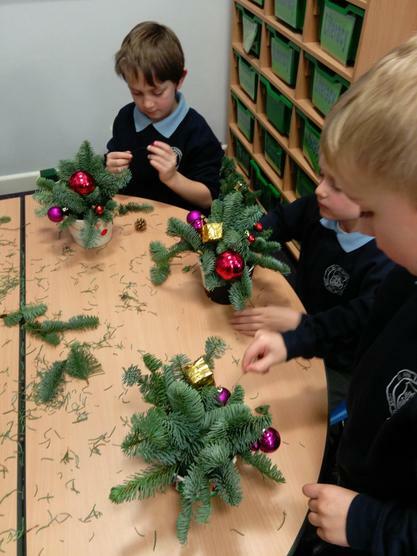 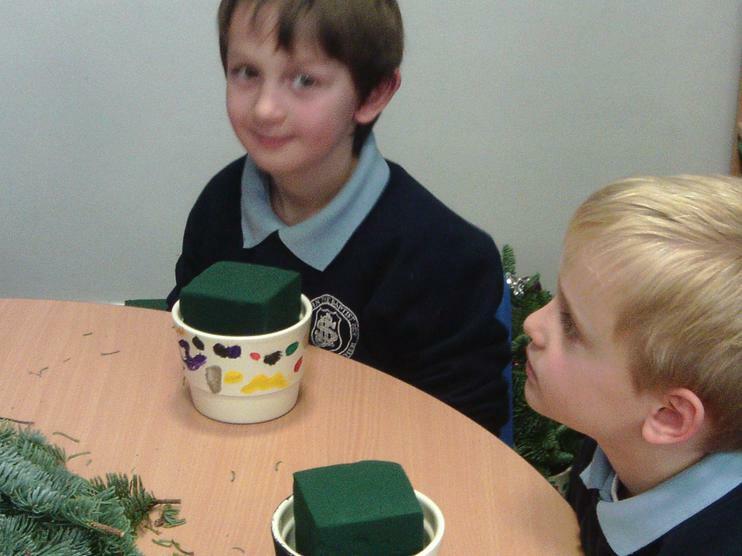 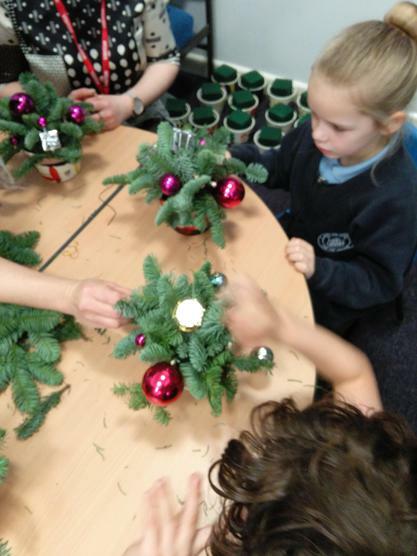 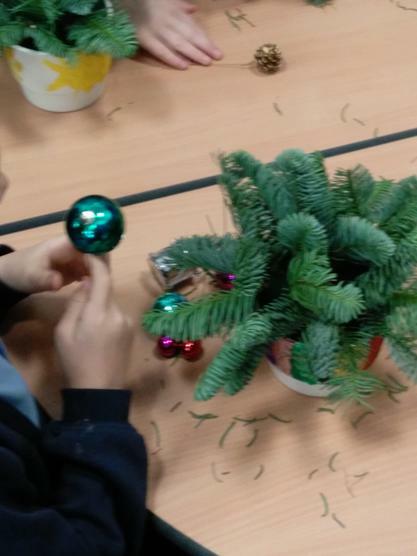 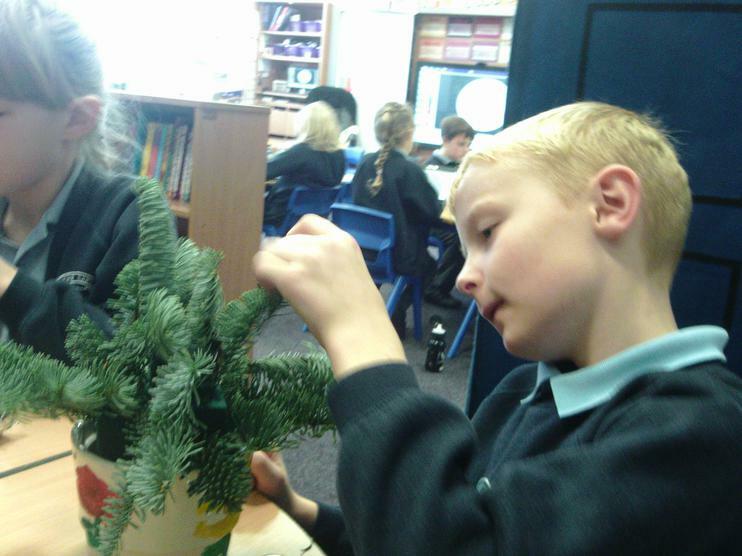 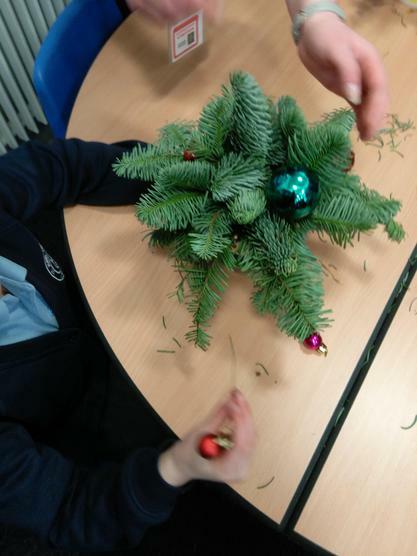 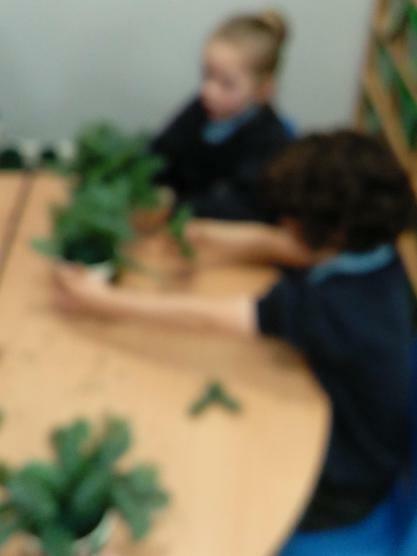 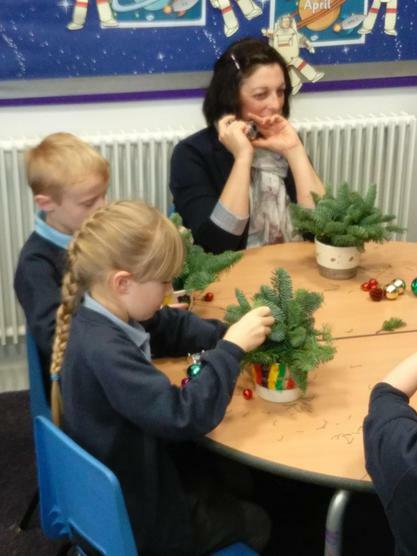 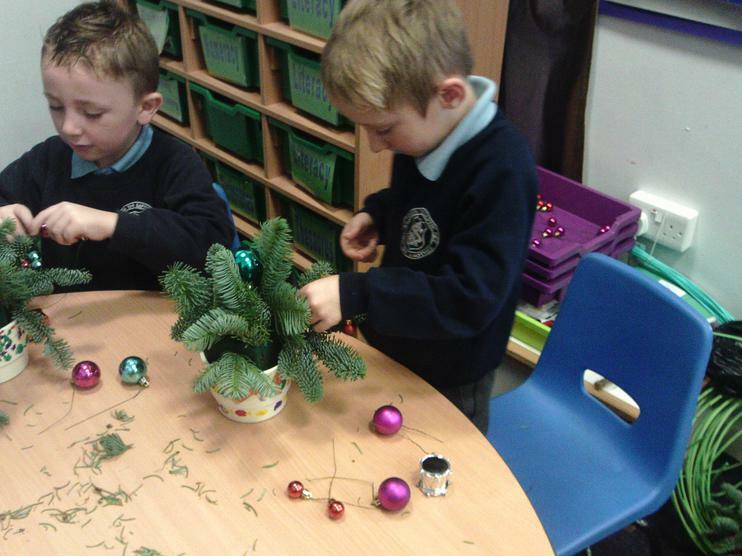 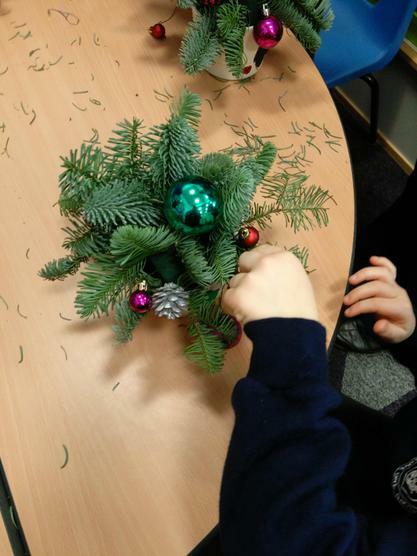 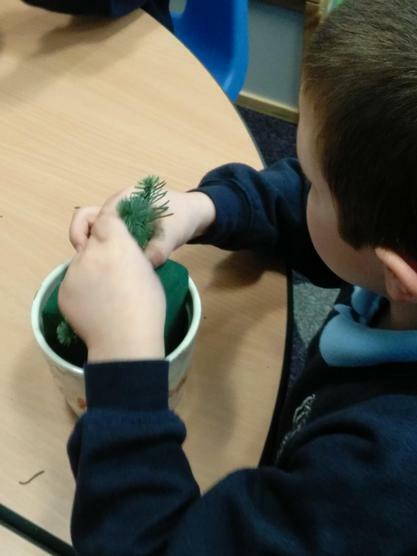 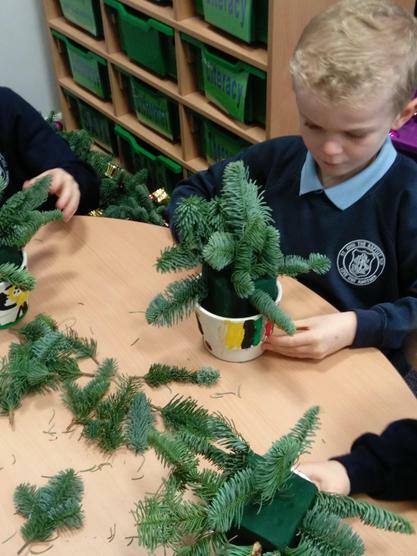 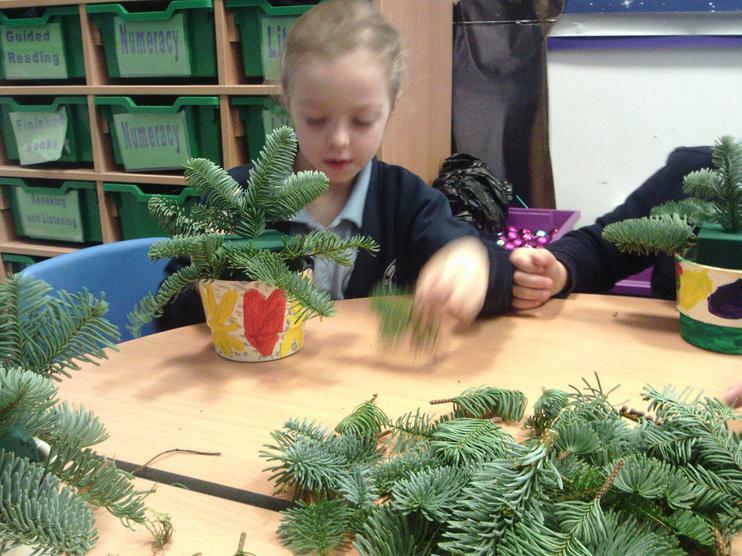 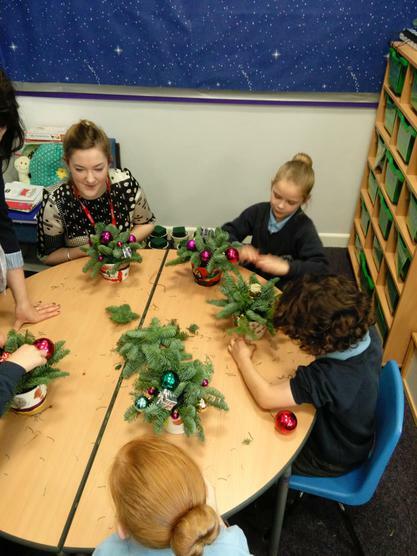 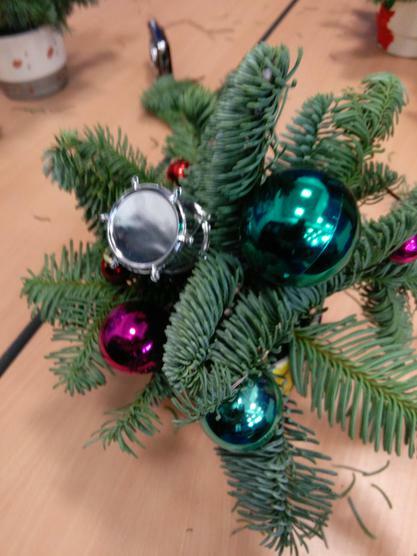 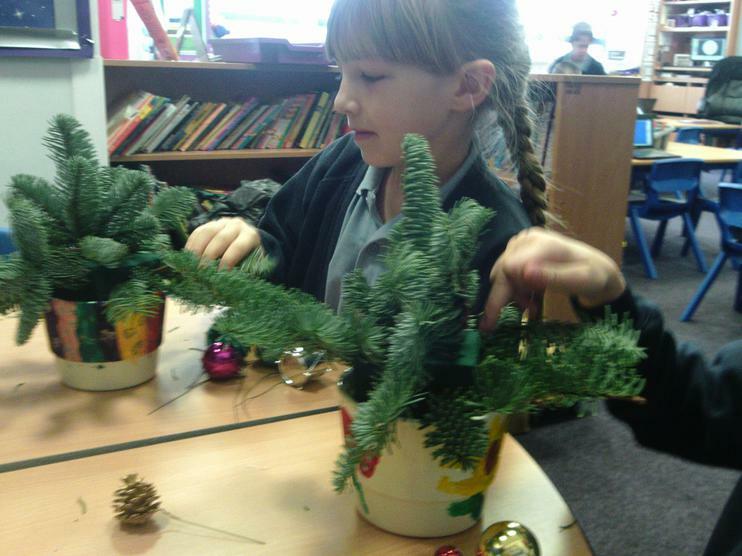 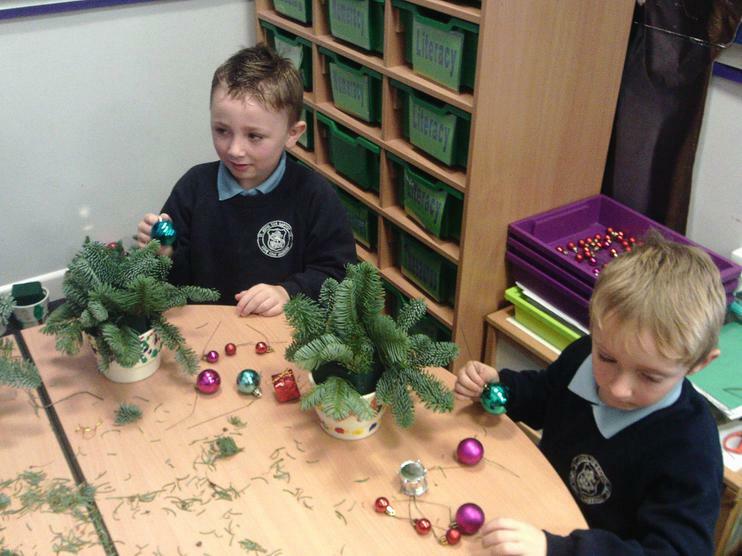 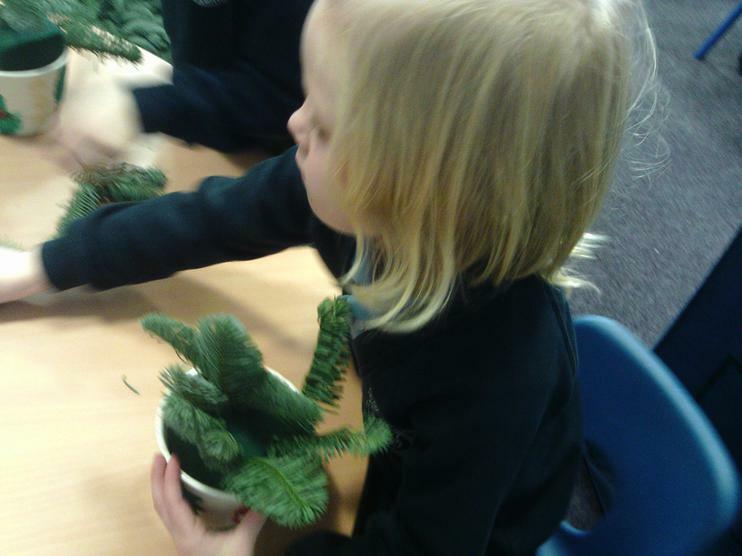 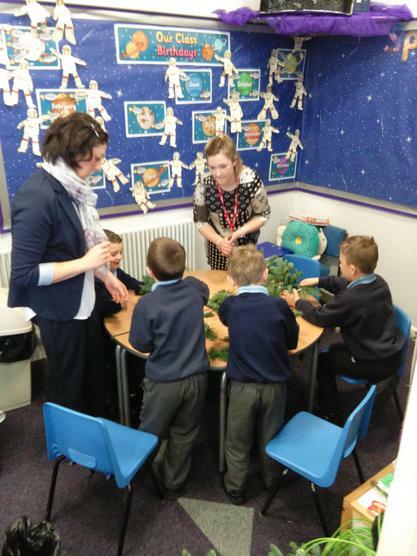 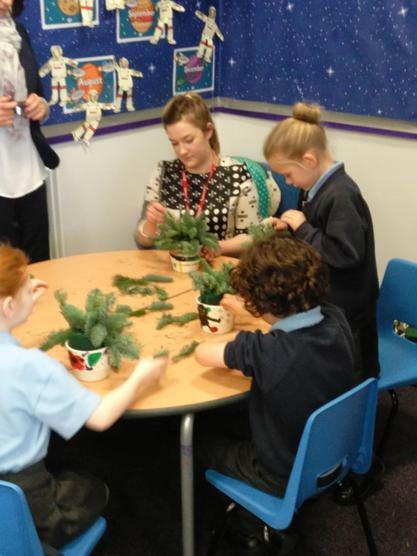 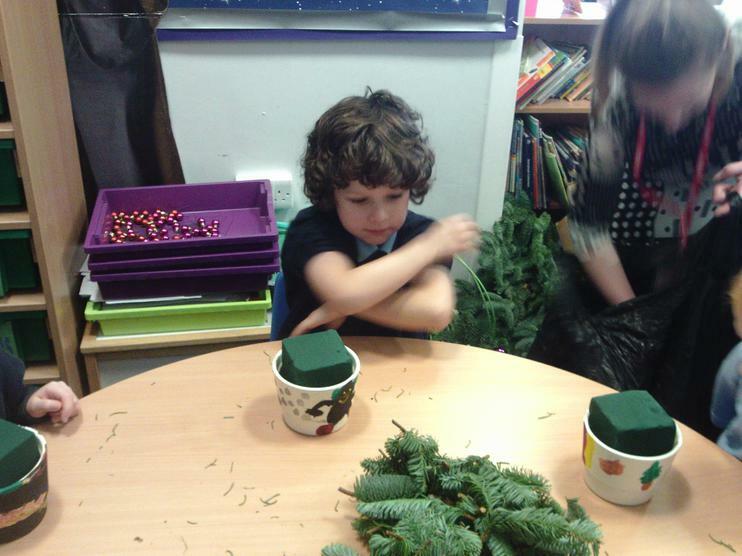 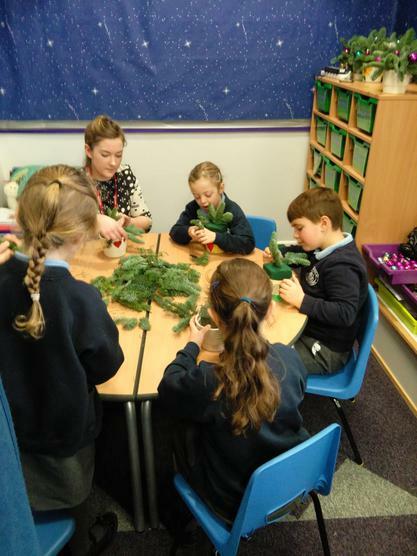 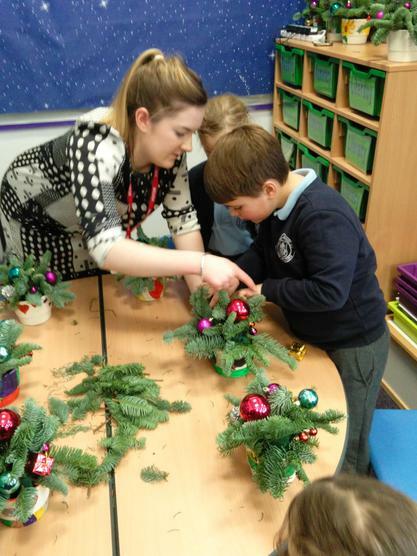 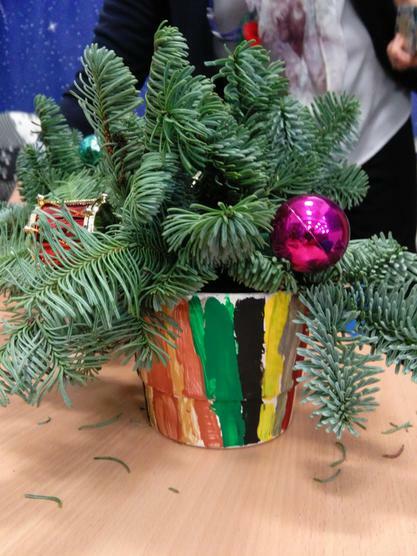 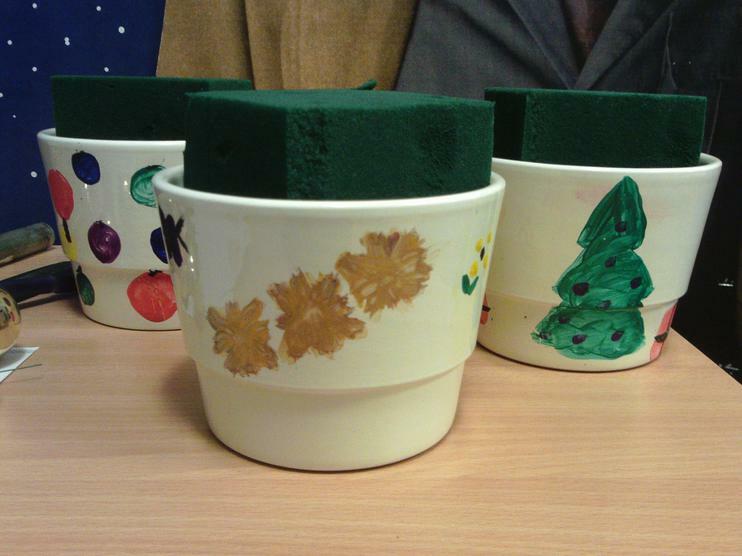 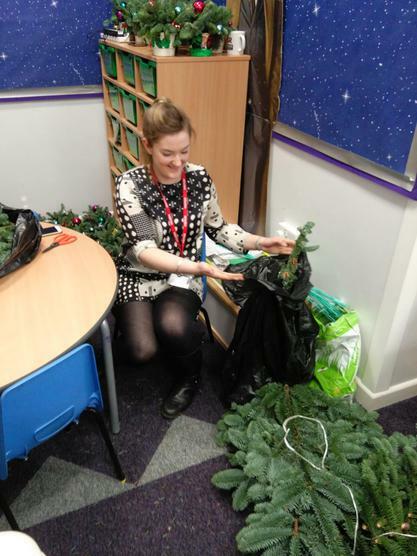 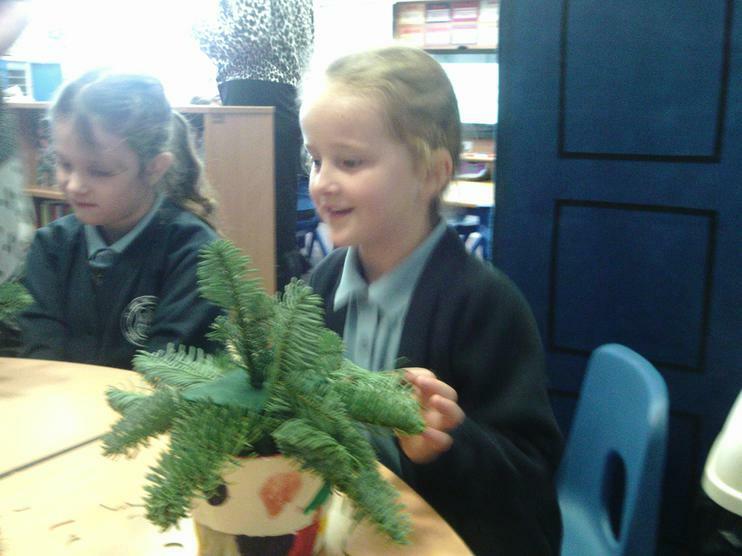 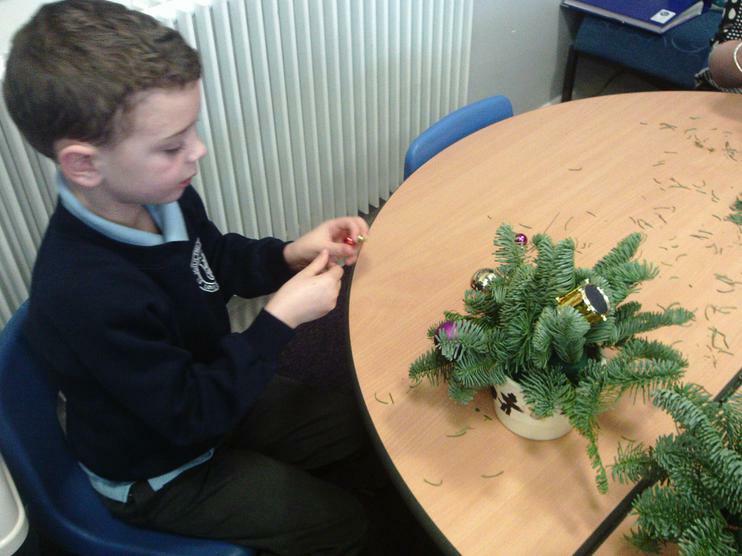 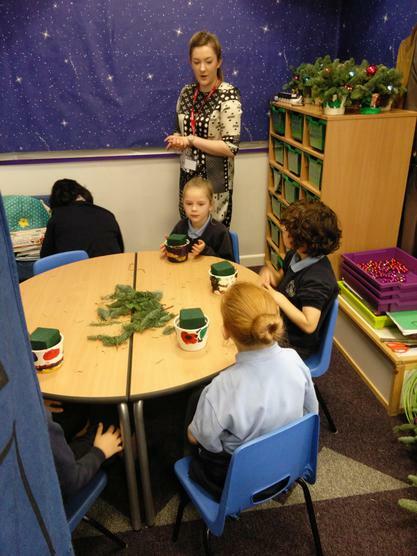 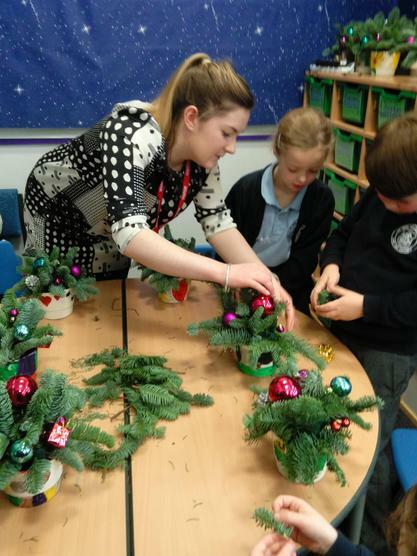 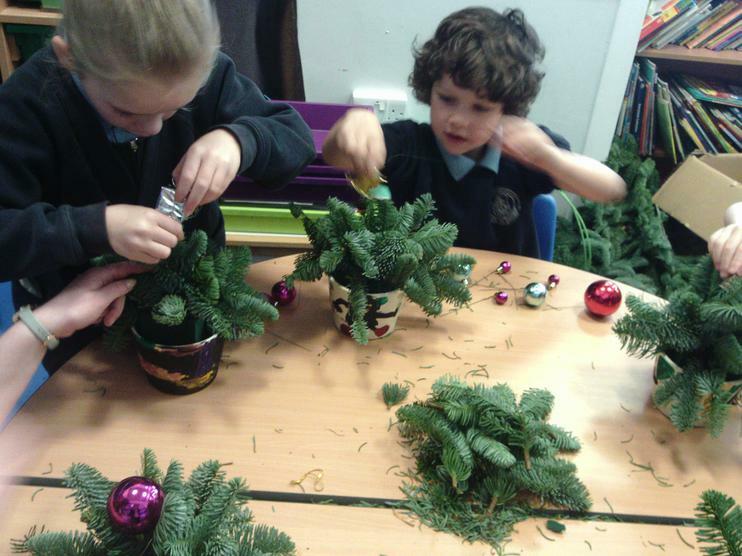 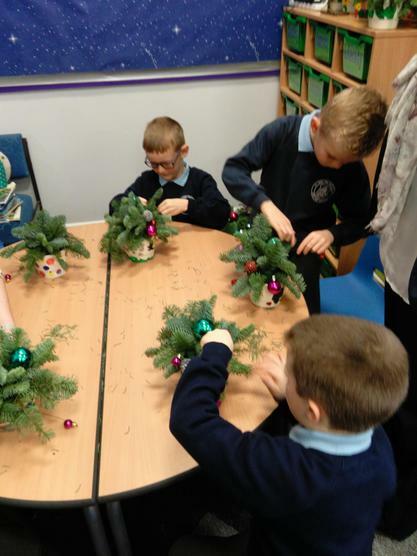 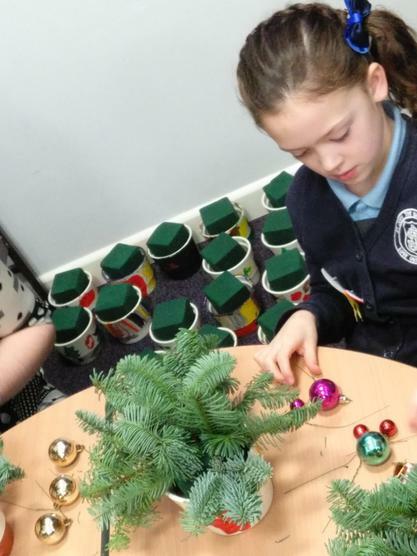 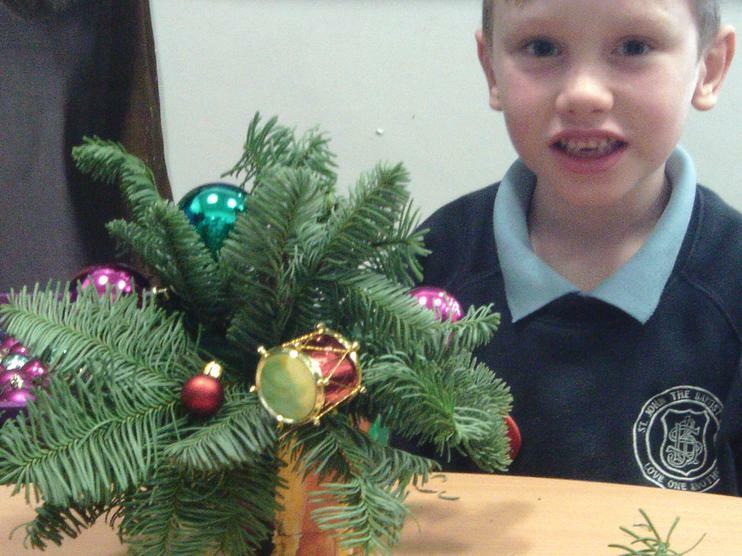 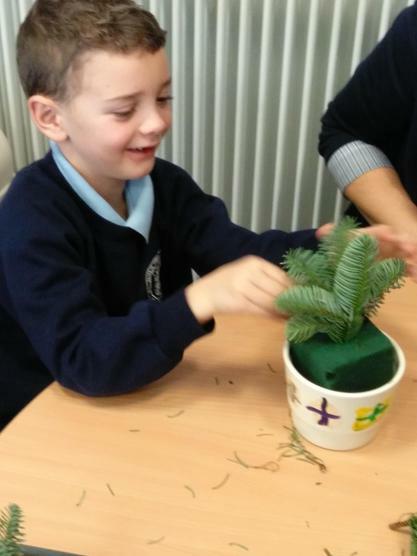 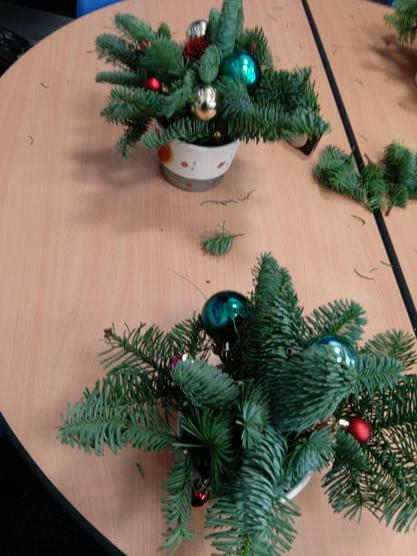 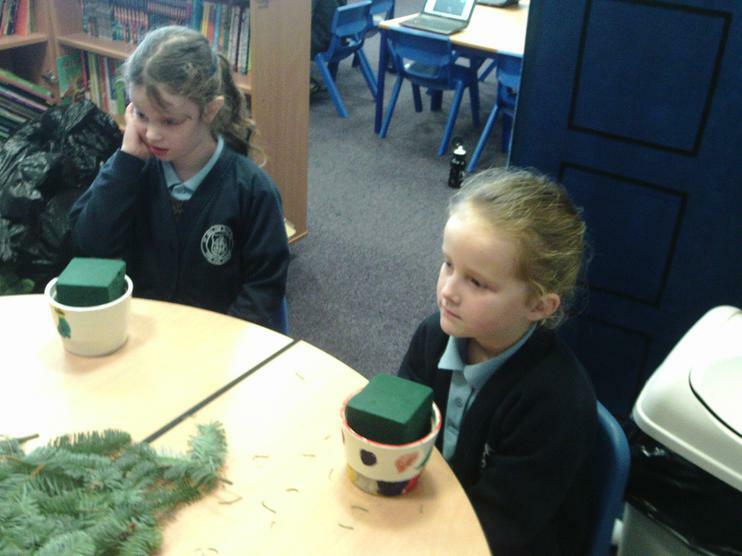 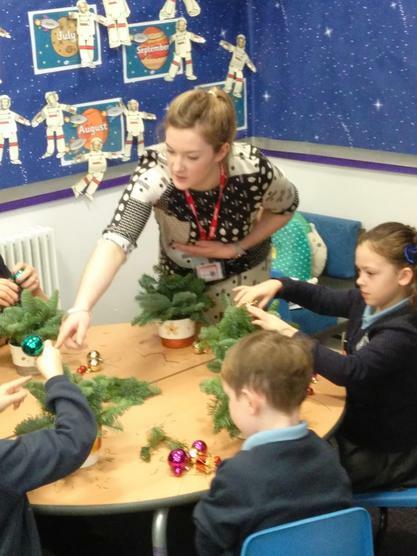 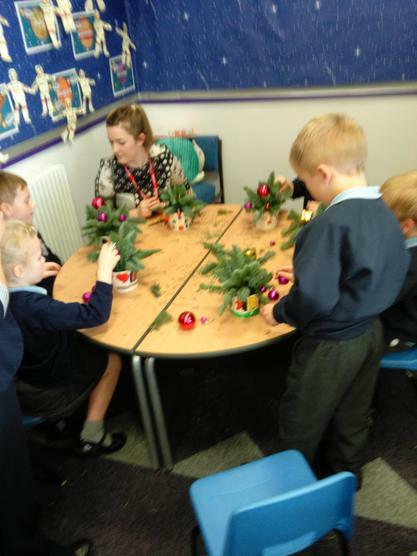 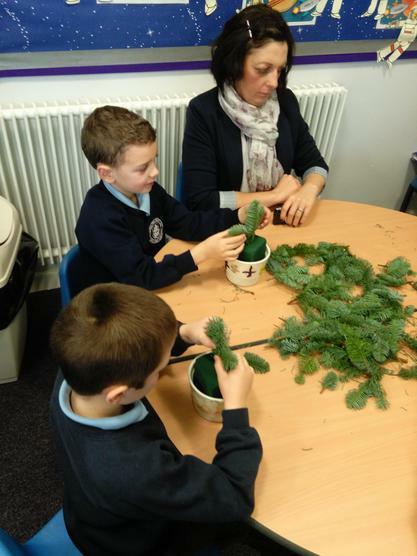 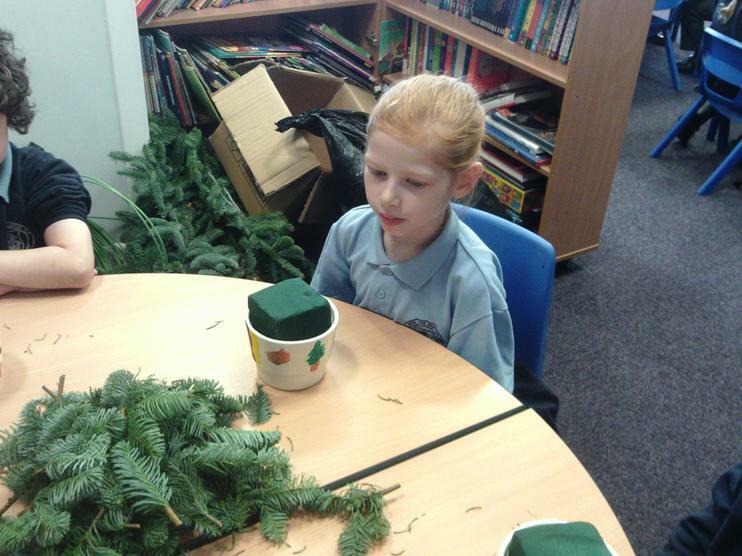 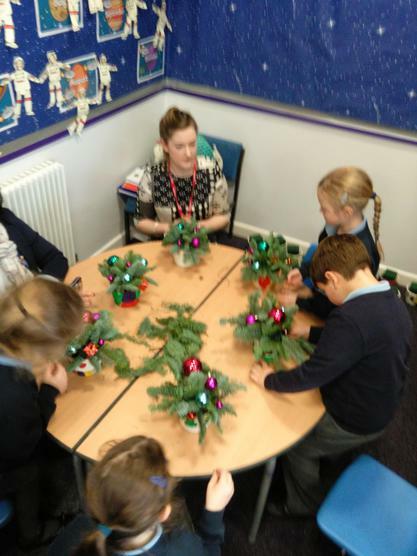 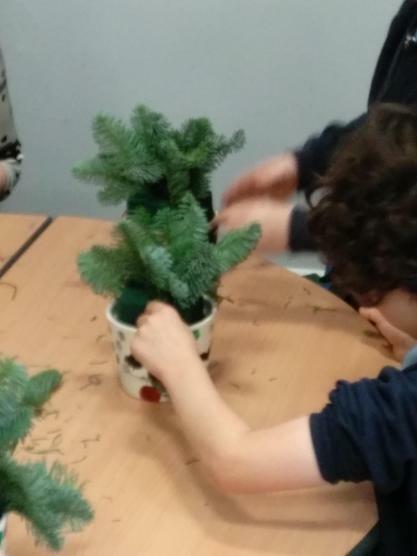 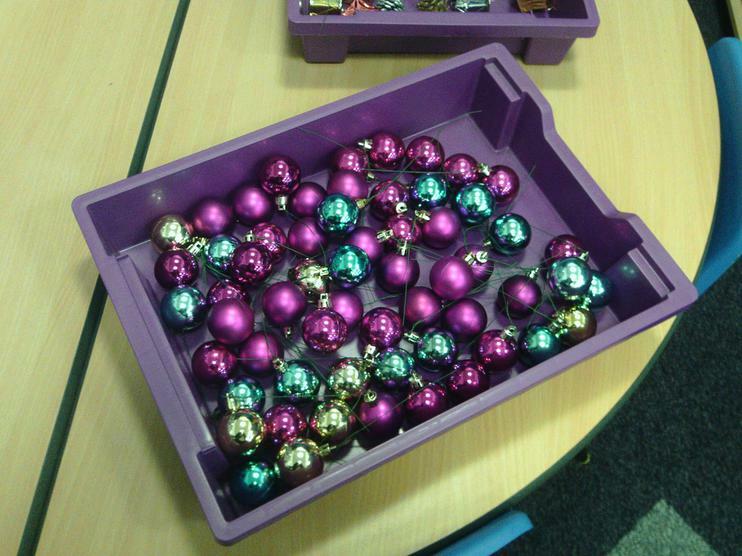 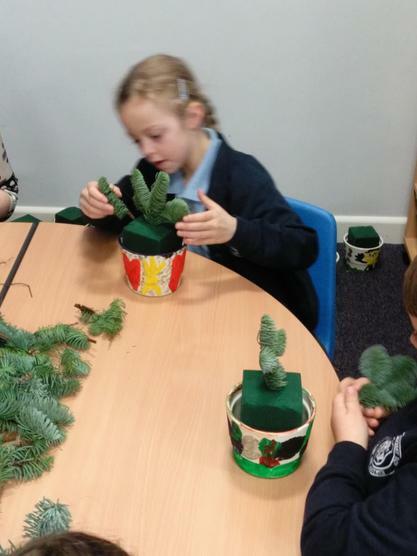 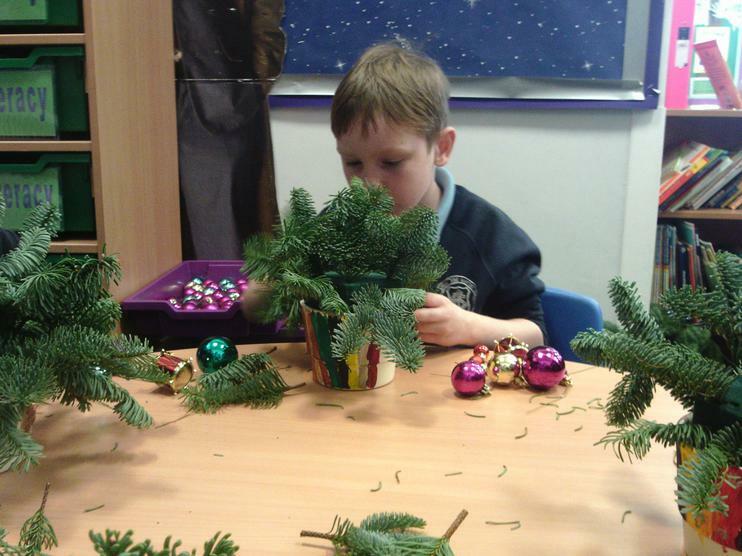 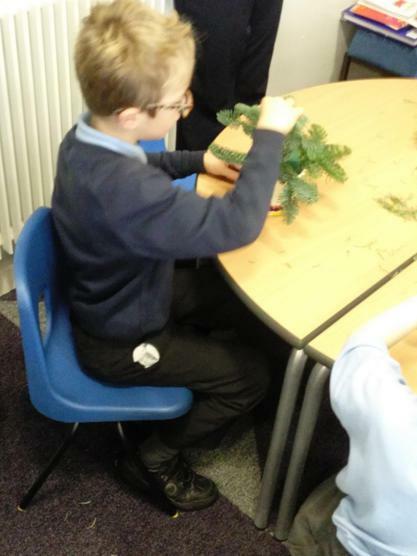 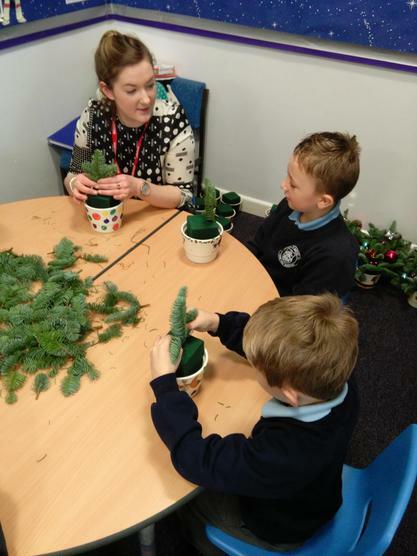 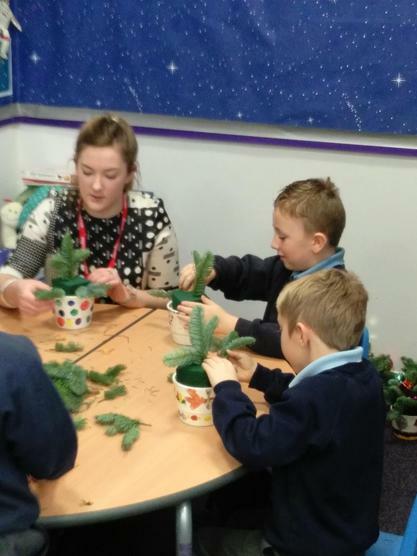 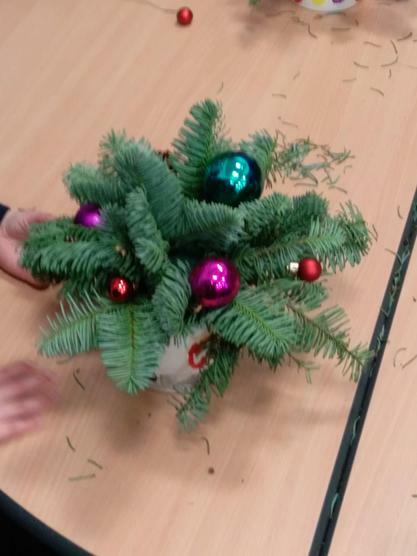 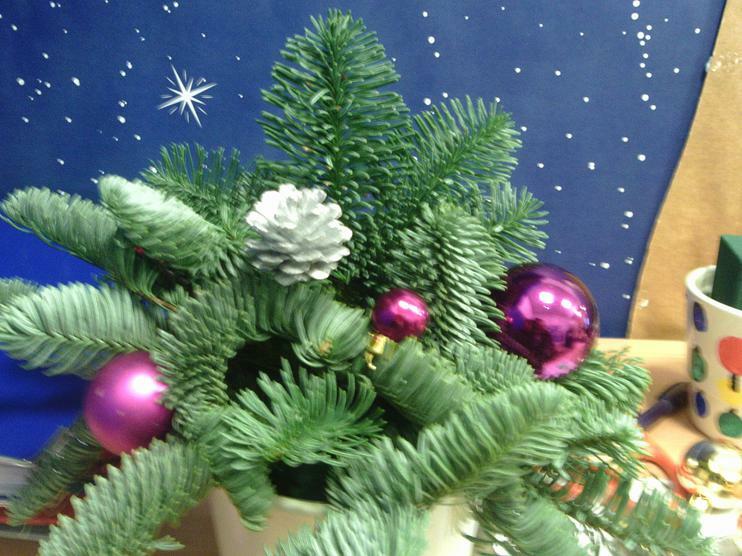 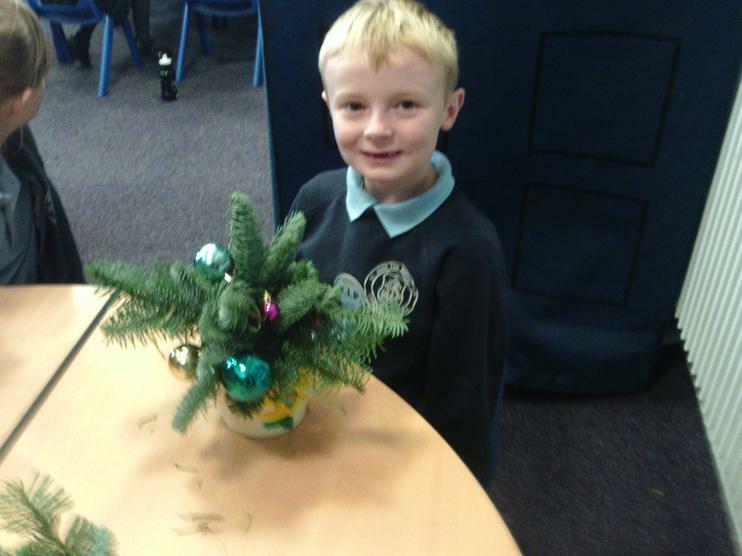 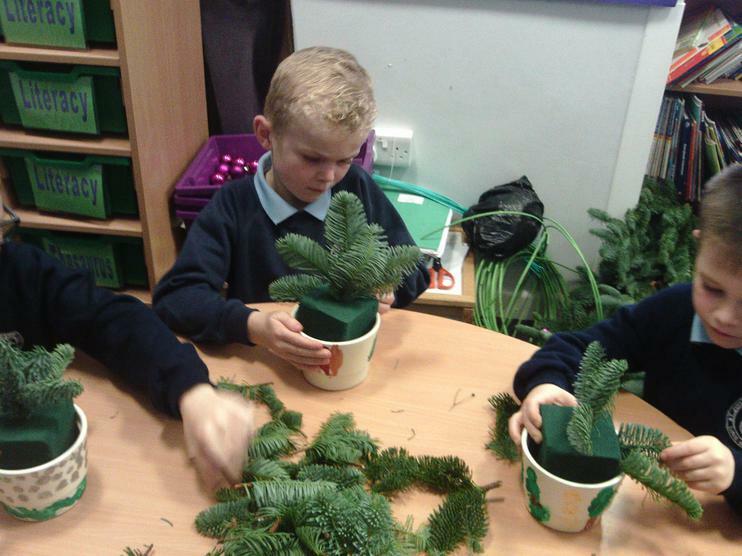 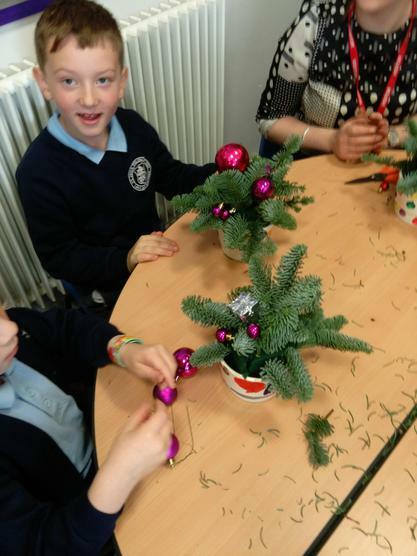 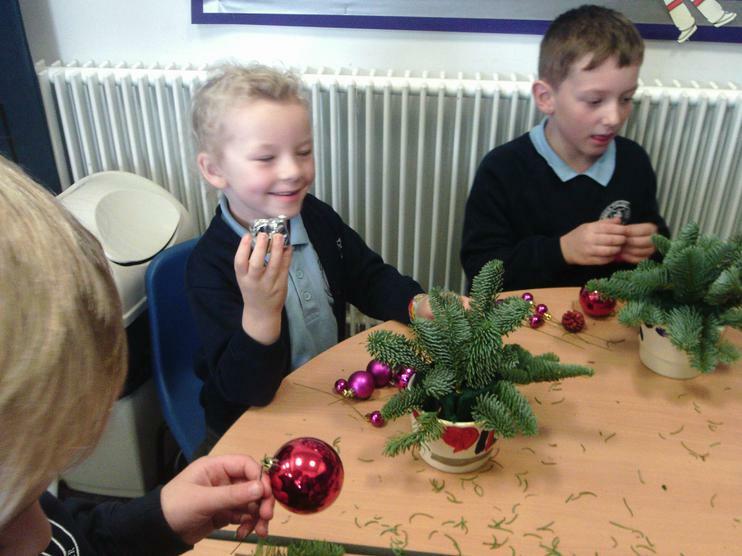 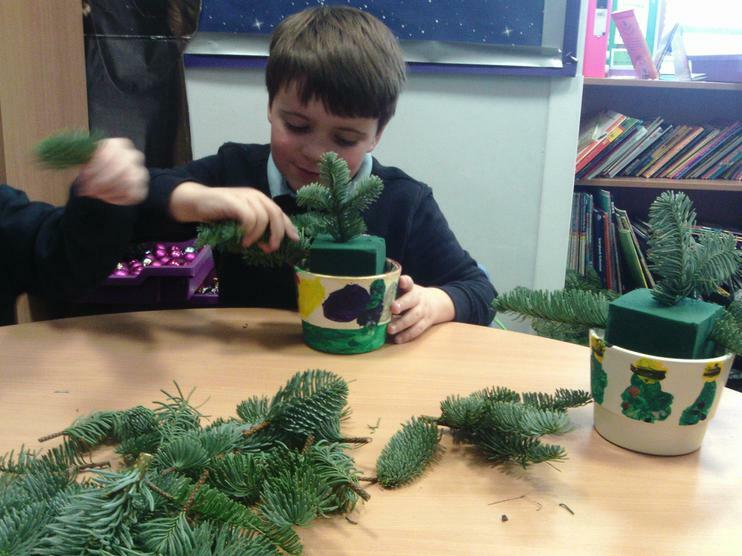 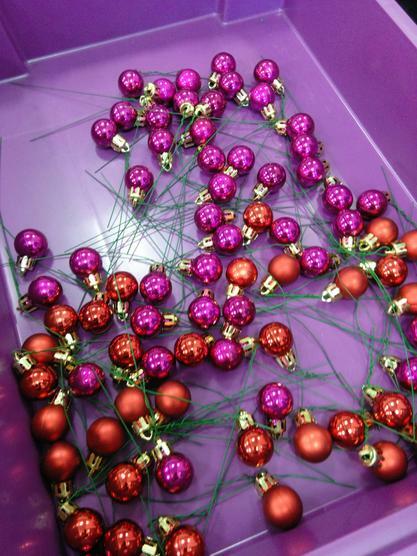 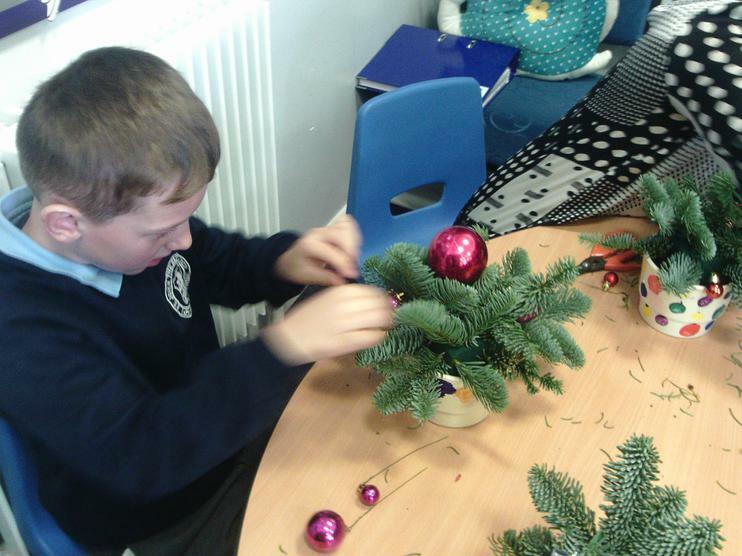 Florence spent the morning helping the children make a Christmas decoration. 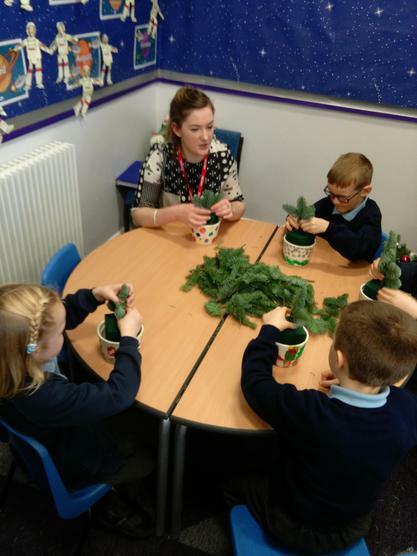 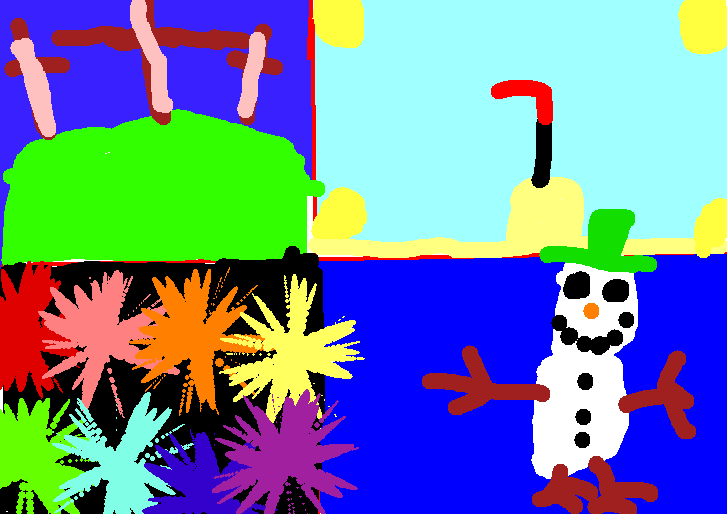 The children loved the experience. 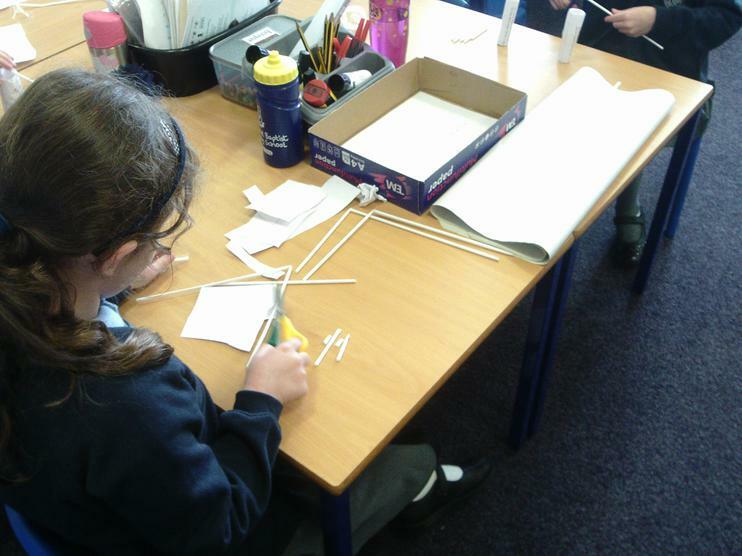 This half-term, we are looking at bridges and their purpose. 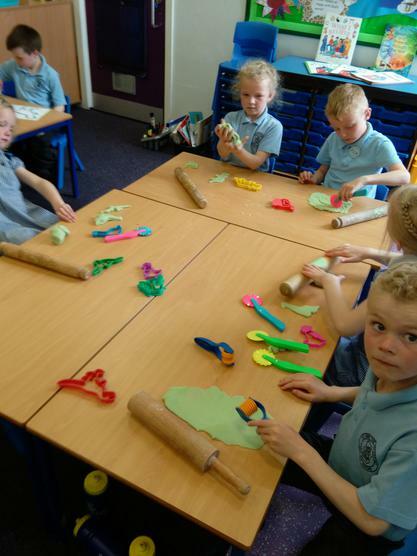 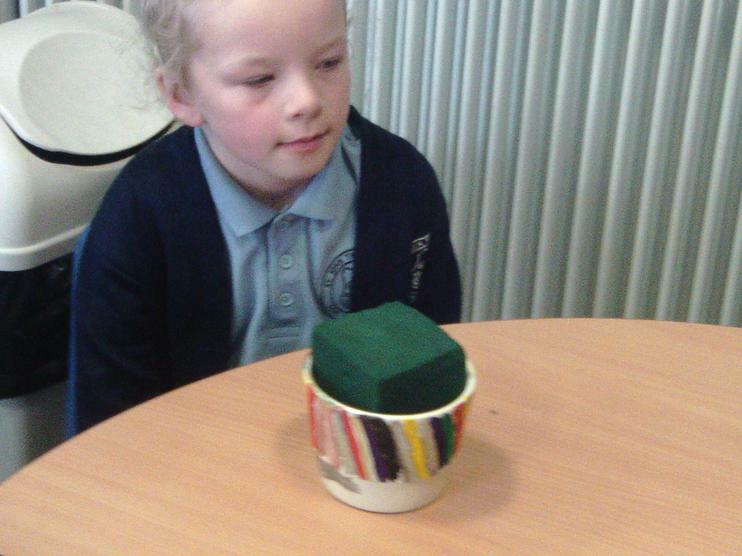 We spent our first lesson using different materials and tried to strengthen these by using different techniques such as rolling and folding. 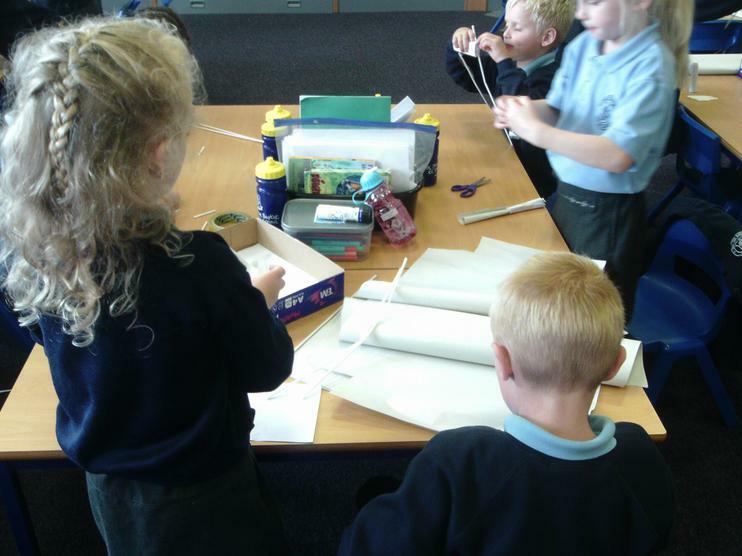 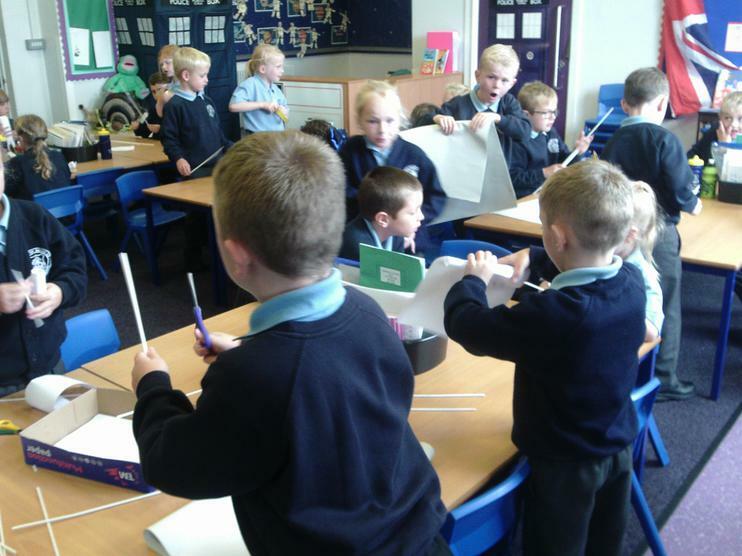 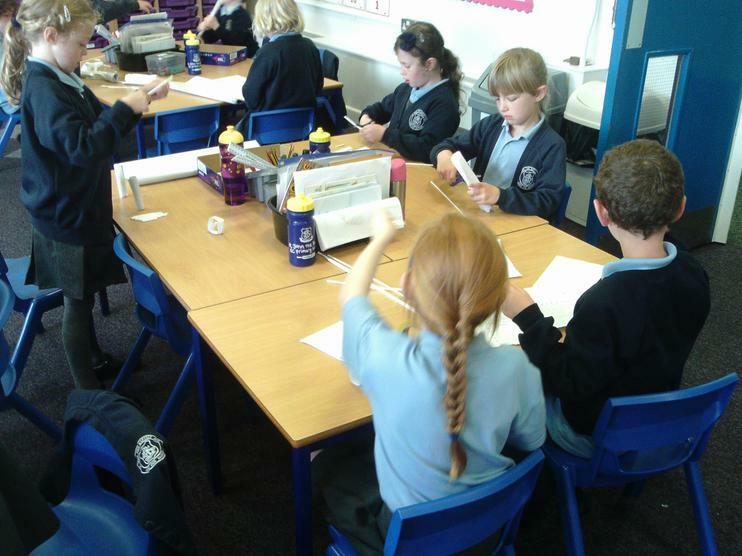 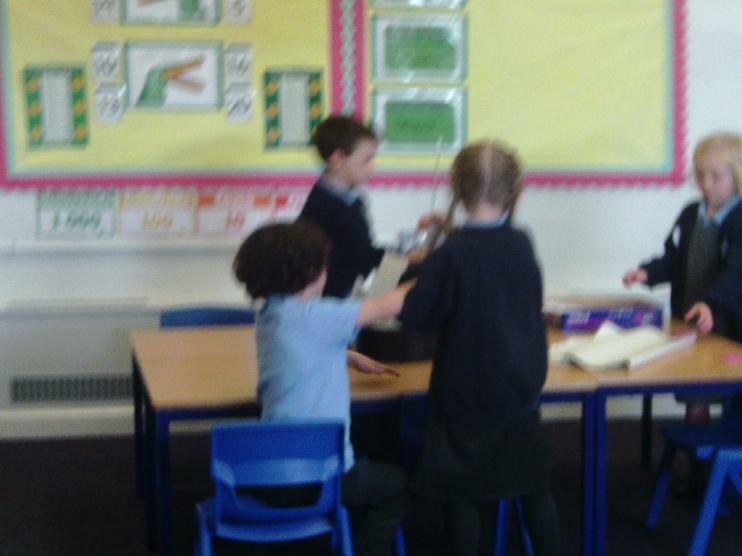 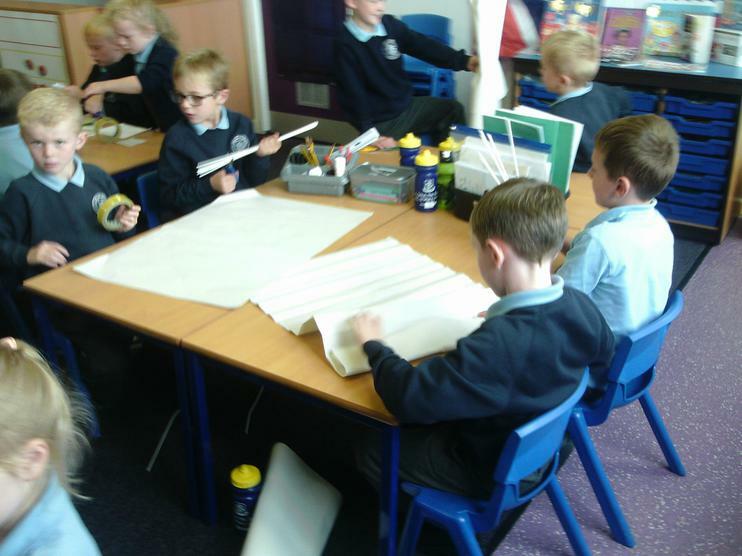 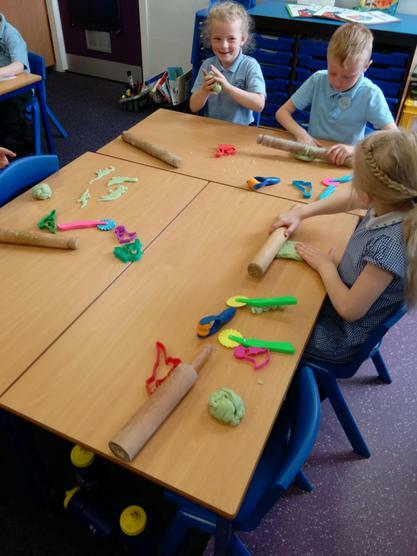 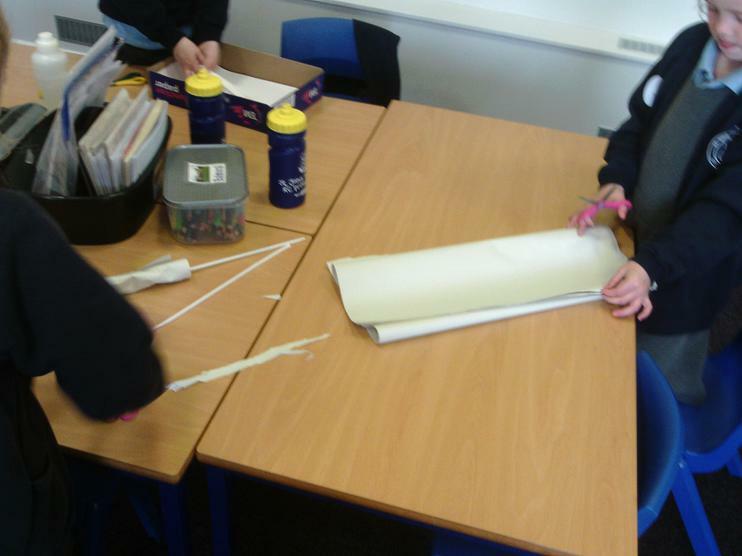 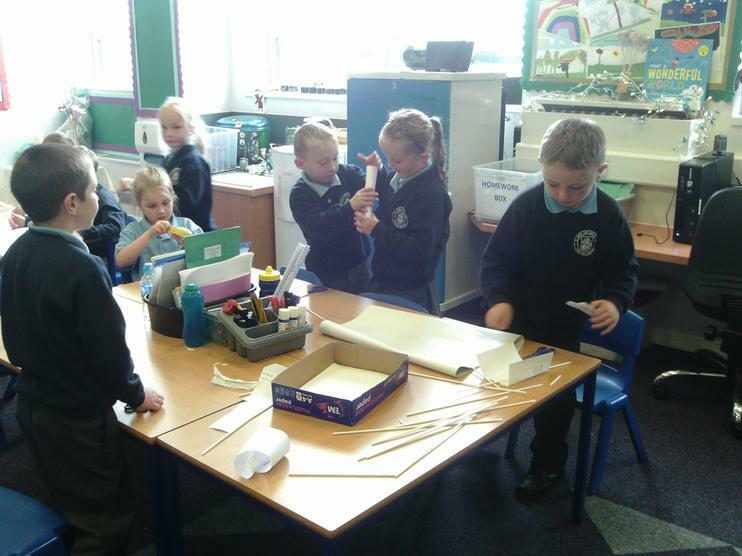 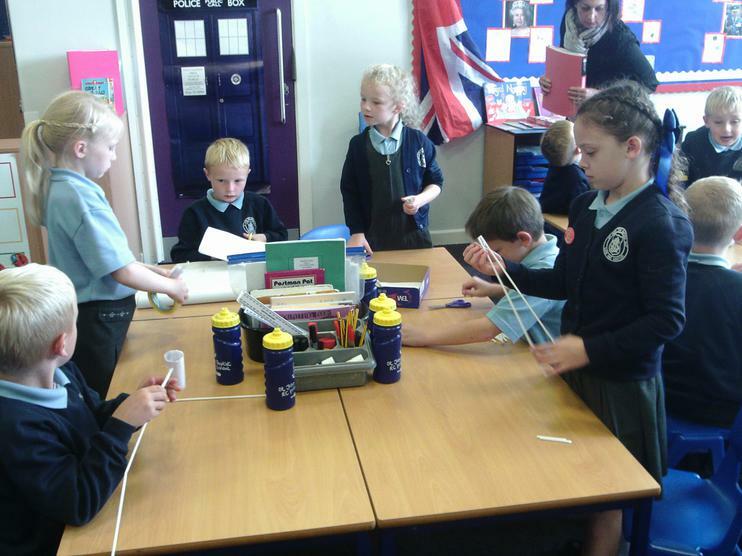 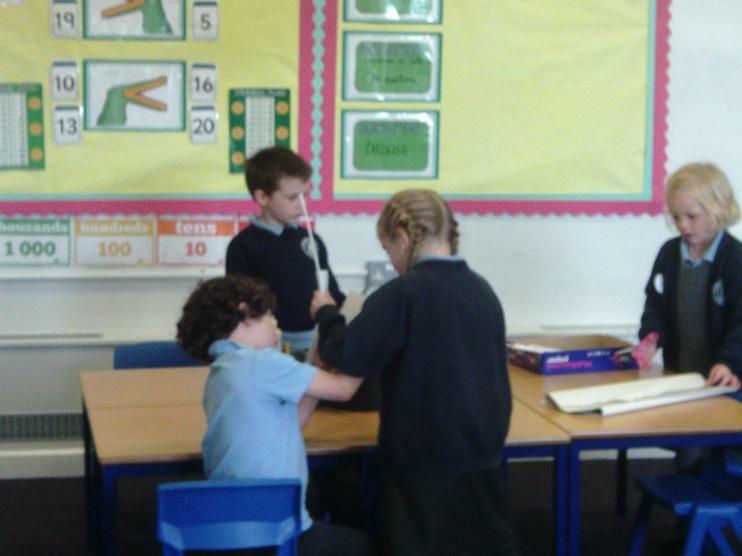 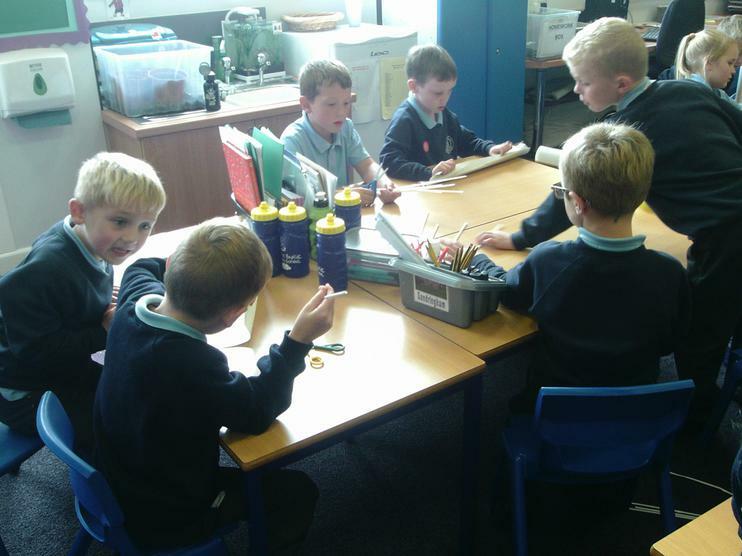 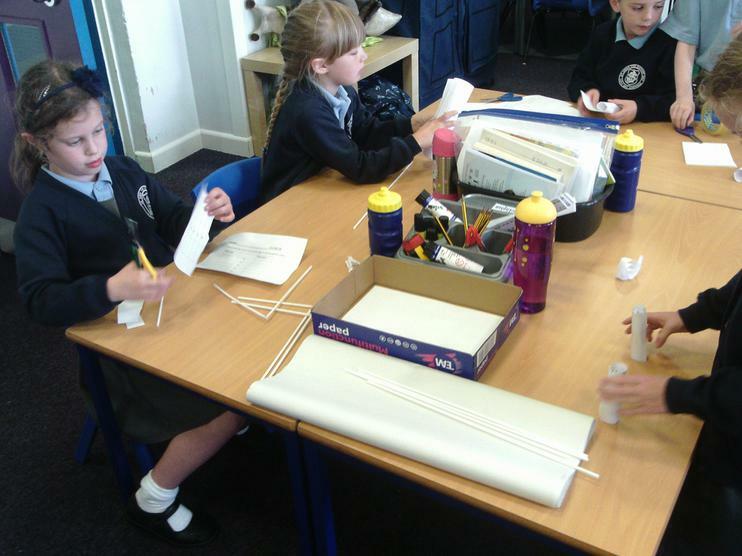 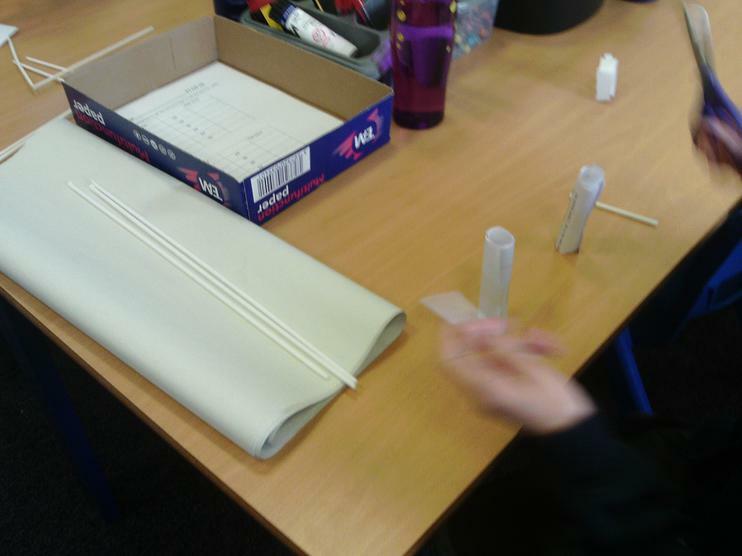 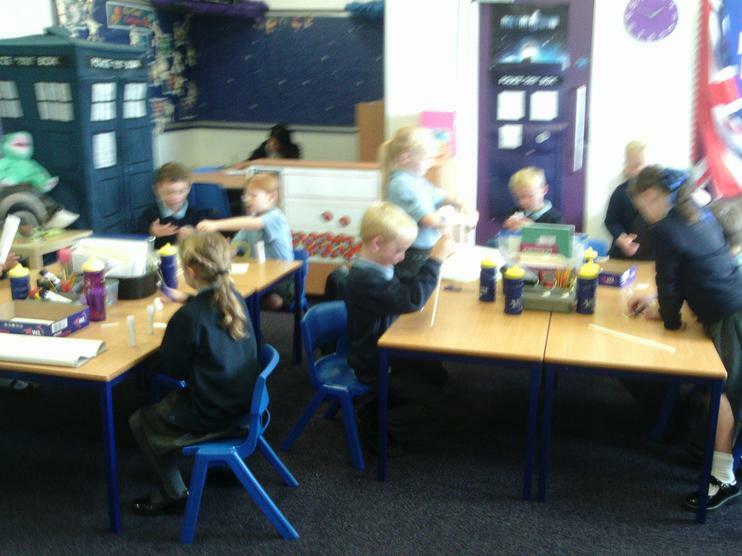 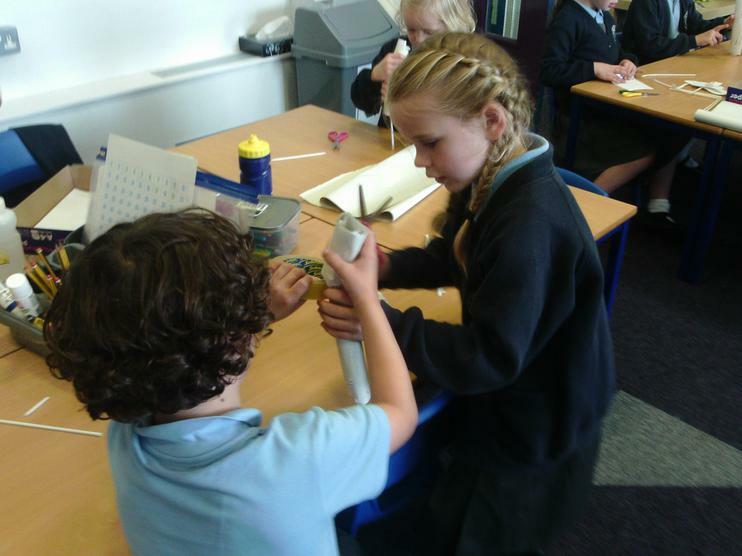 We are trying and testing all these skills so that, as a team, we can build a bridge in class using everyday materials such as paper, card, sellotape and paper straws. 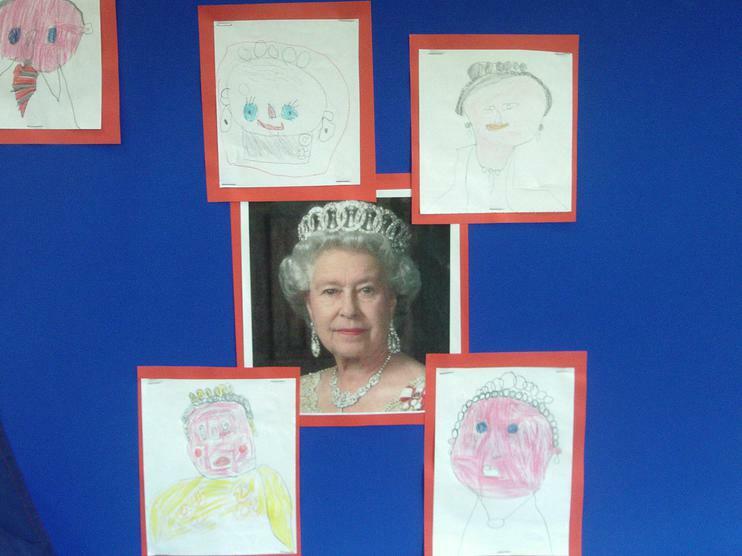 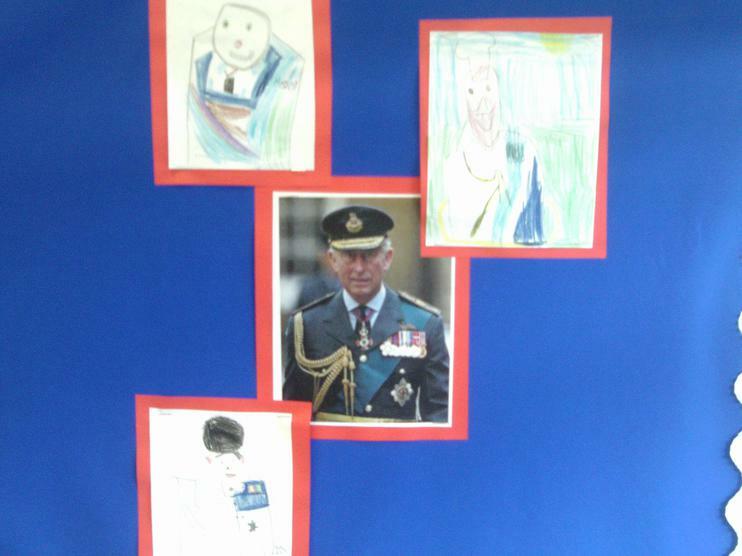 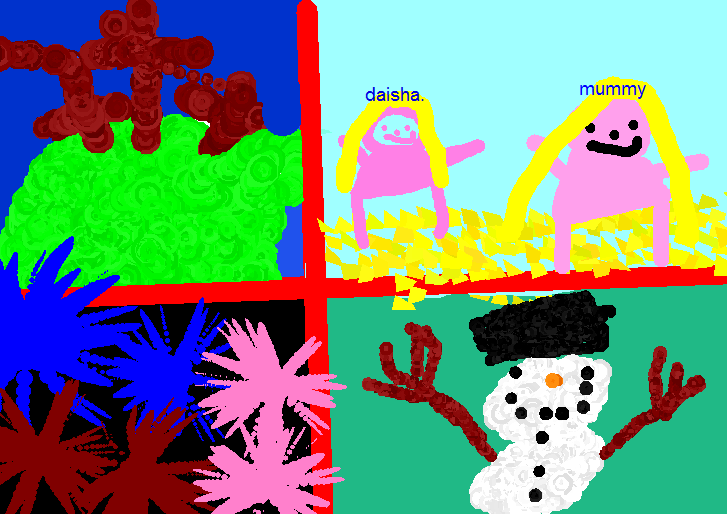 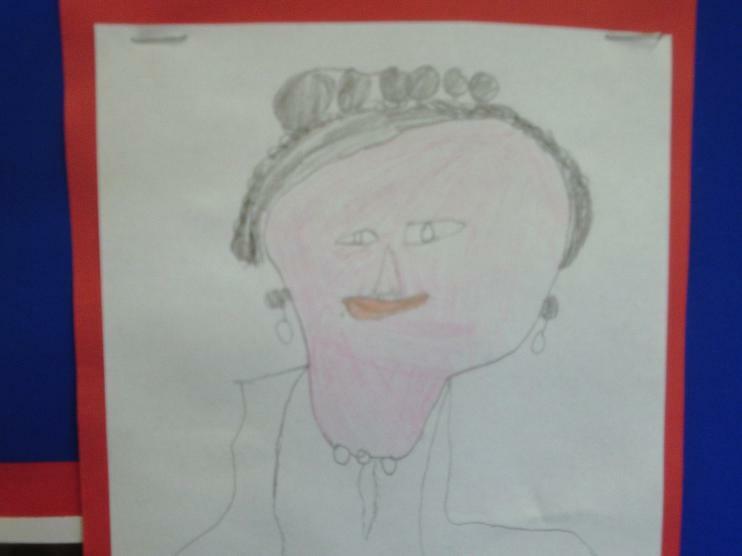 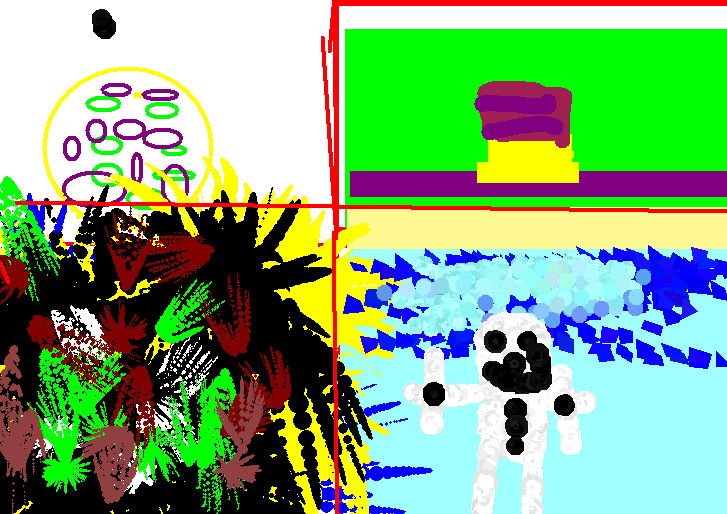 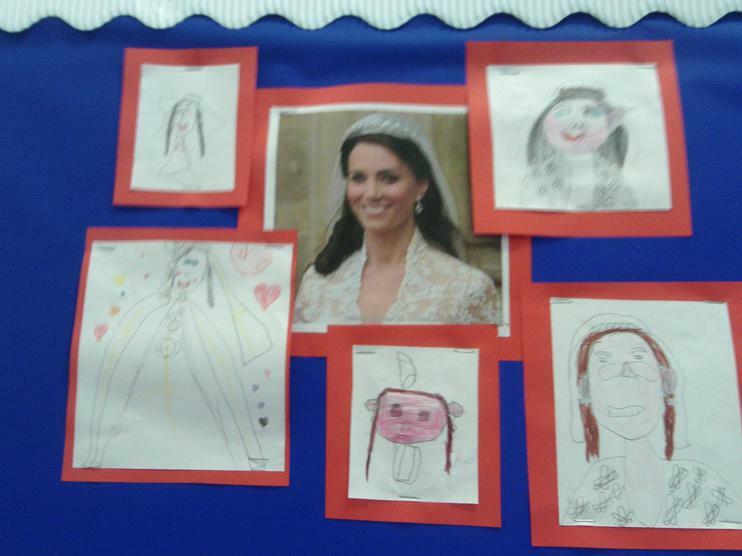 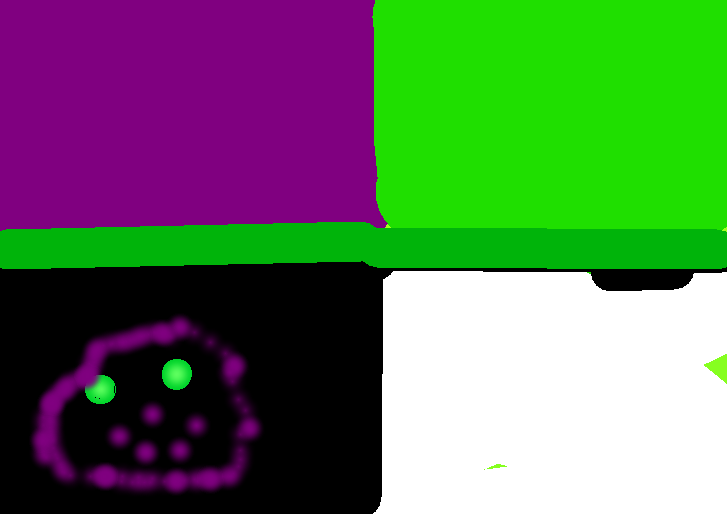 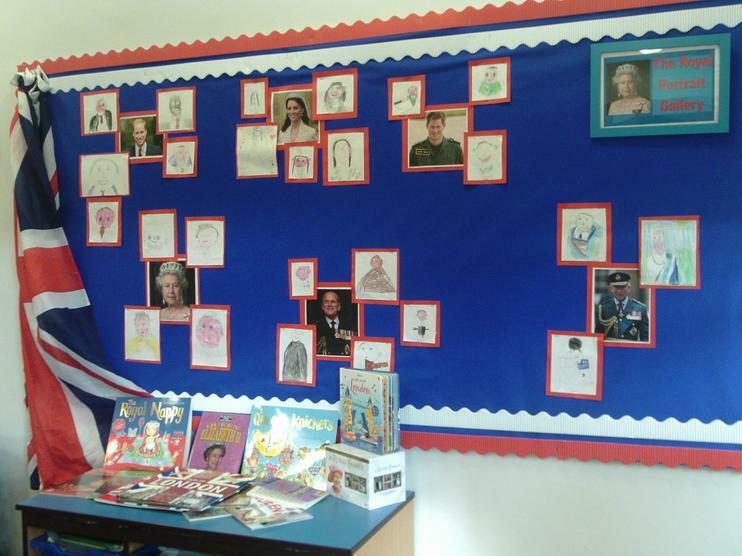 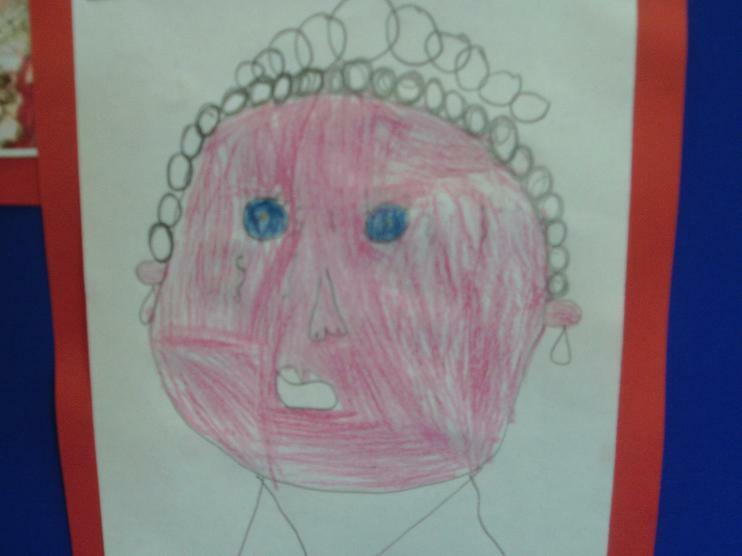 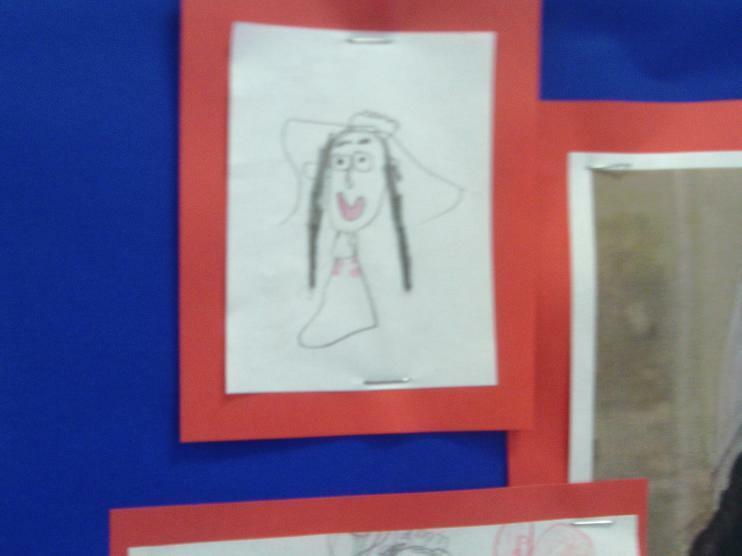 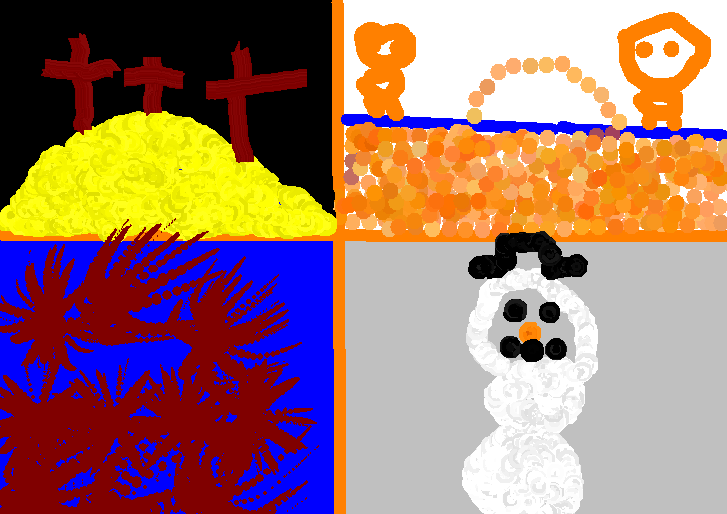 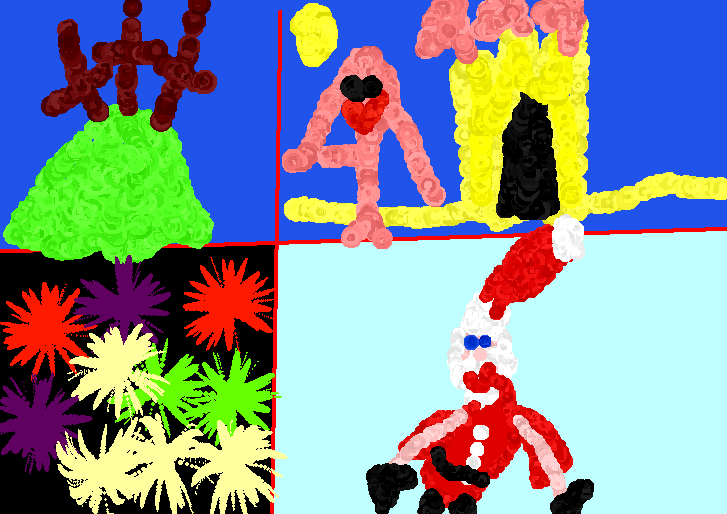 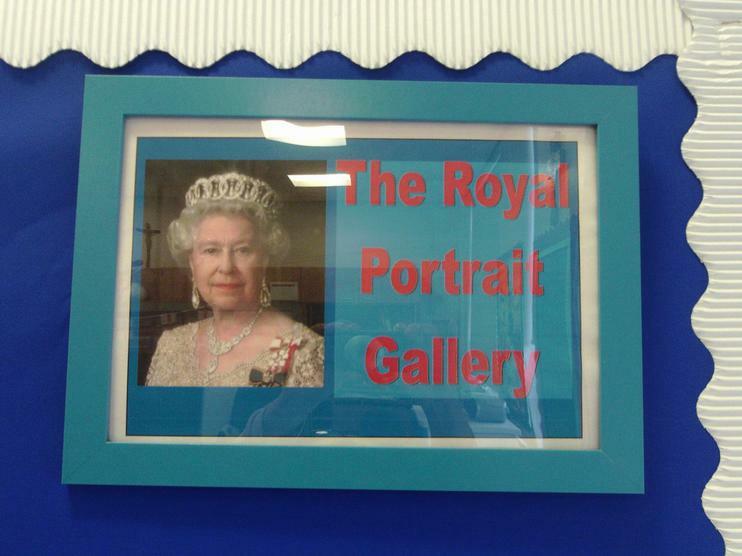 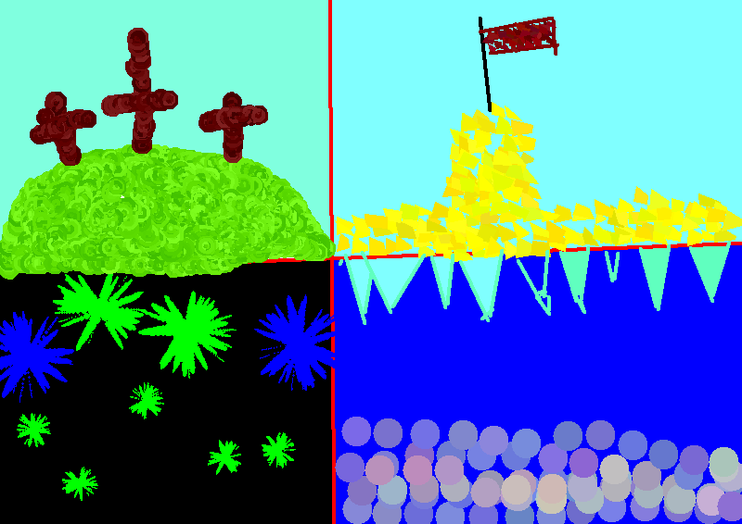 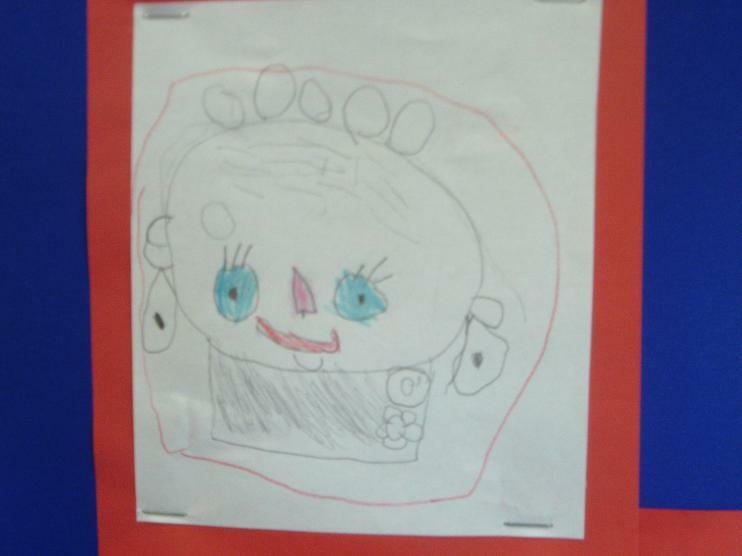 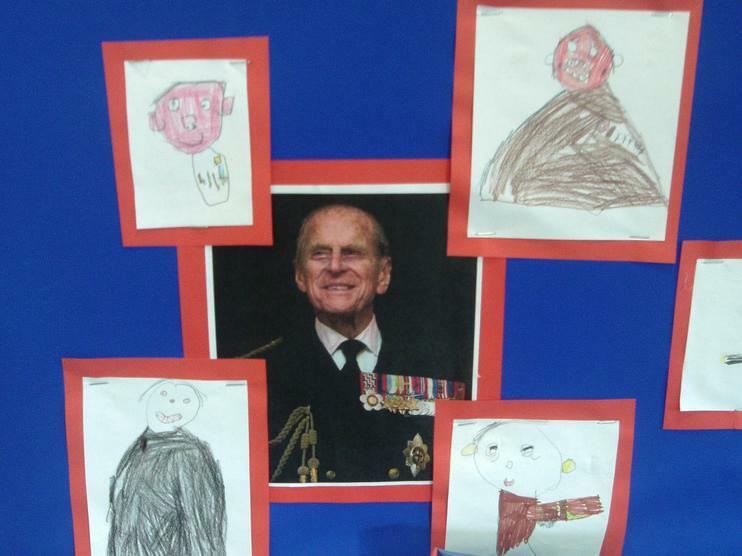 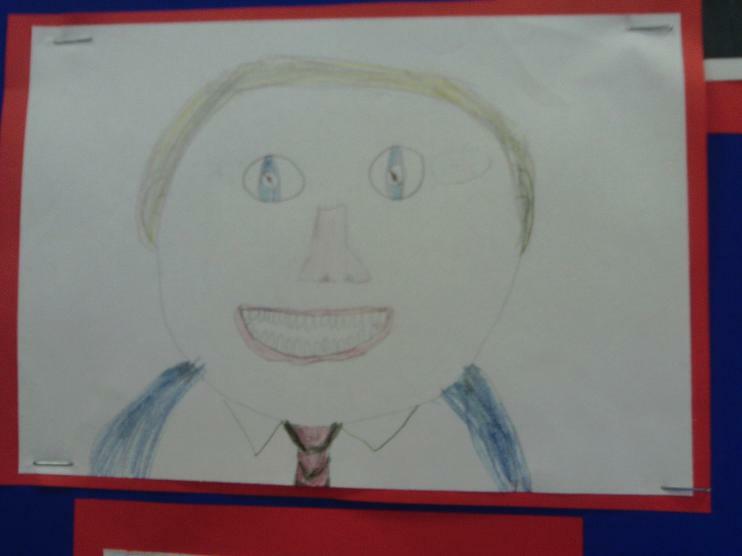 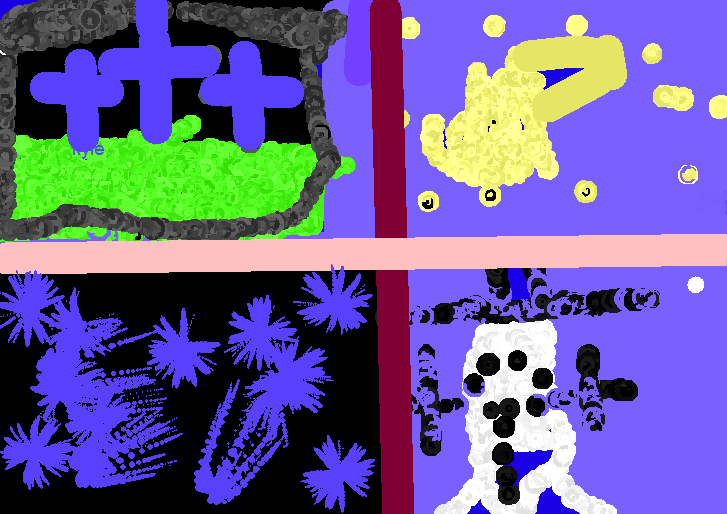 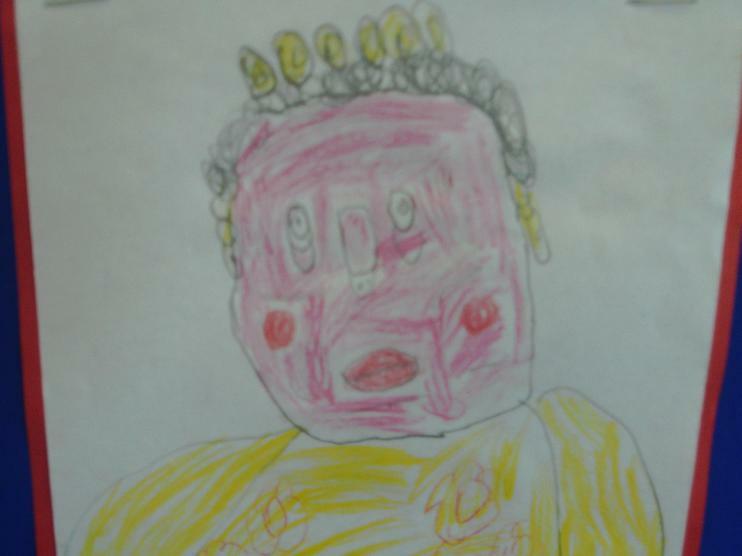 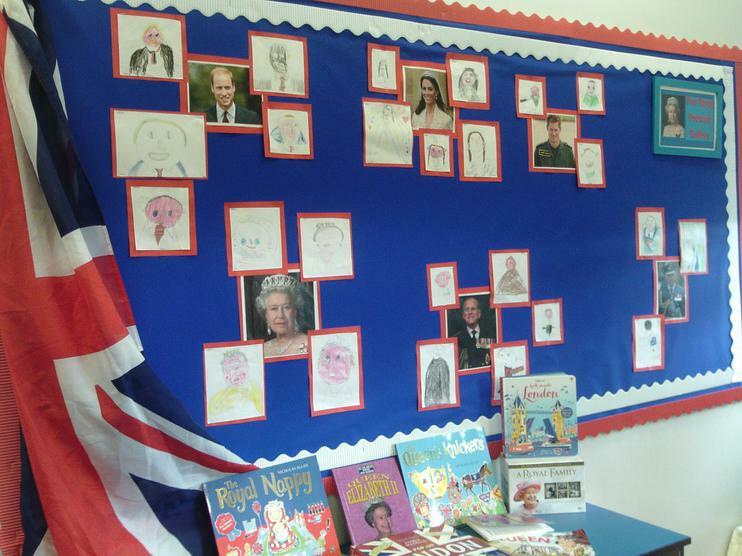 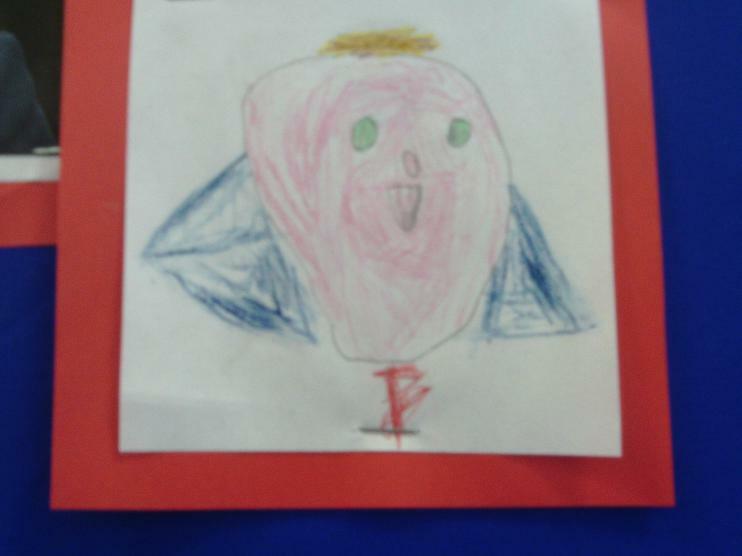 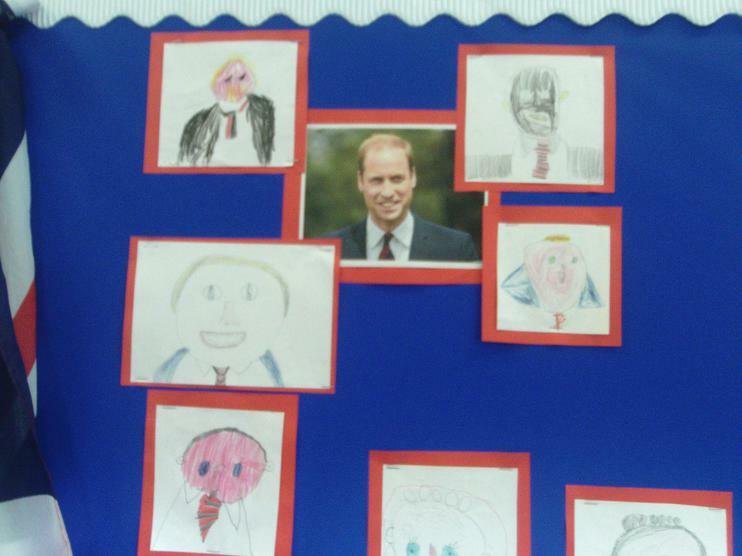 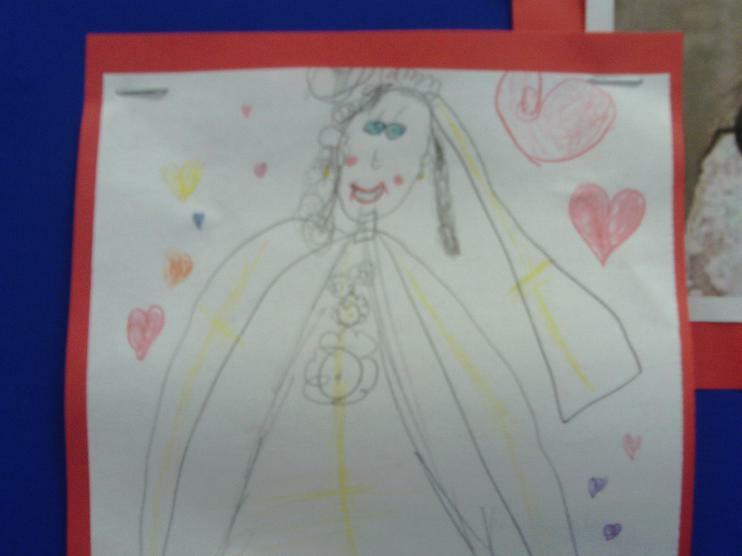 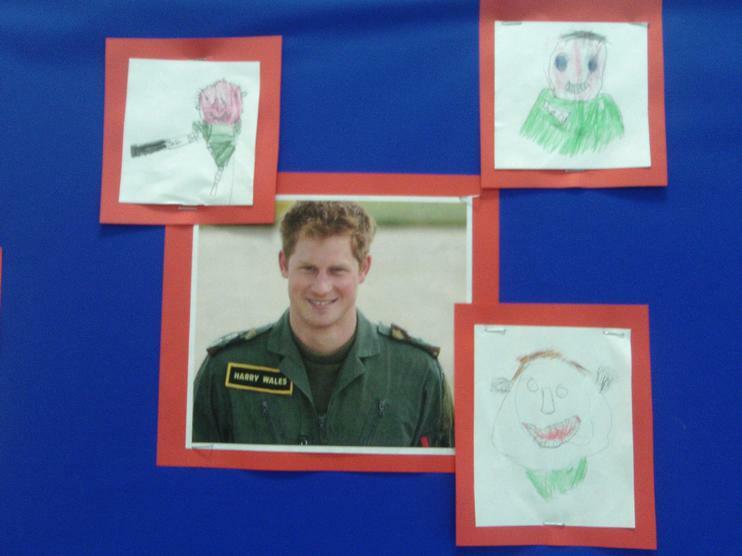 Our Portraits of the Royal Family.